We are connected to the places we live — they affect, in no small way, how our existence unfolds. 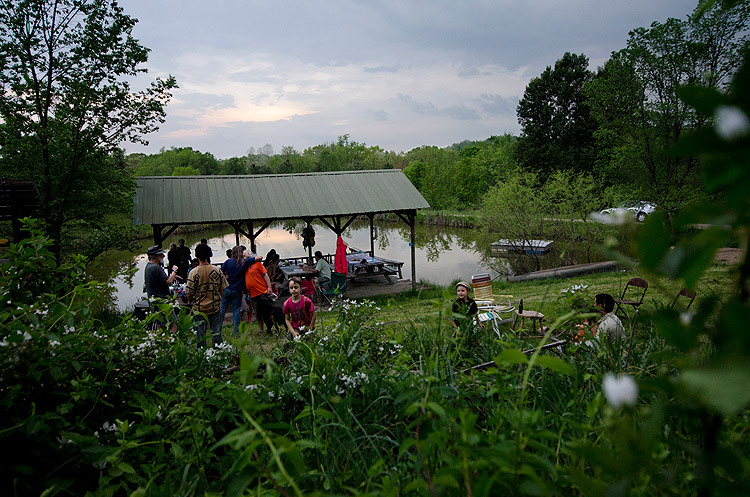 In Southeast Ohio, the connection between the people and the land is long and colorful. The early inhabitants saw the region as a unique utopia and sought to live in harmony with it. Later residents saw the potential of resources locked beneath the earth and became determined to use them to build a brighter future. New rifts are occurring in local communities, with words like “environment” and “economy” often cropping up in relation to the land. In the end, the distance between us is defined by the different ways in which we view the value of the land we call home. 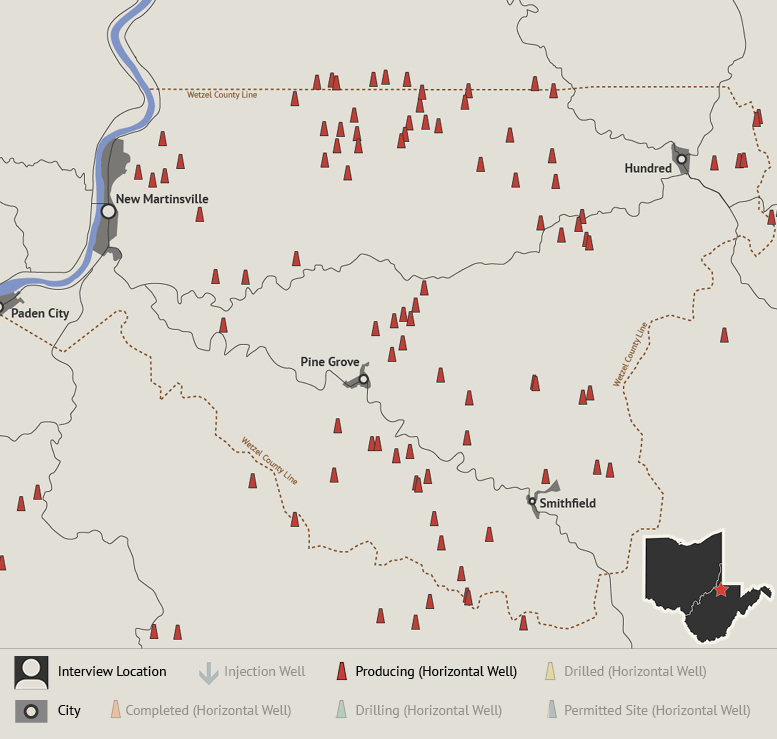 Traditionally rich with buried resources, Southeast Ohio hosts and has hosted a variety of industries focused on unearthing and processing these resources. But a dichotomy exists between those that value what lies beneath the earth and what can be produced in the soil above. 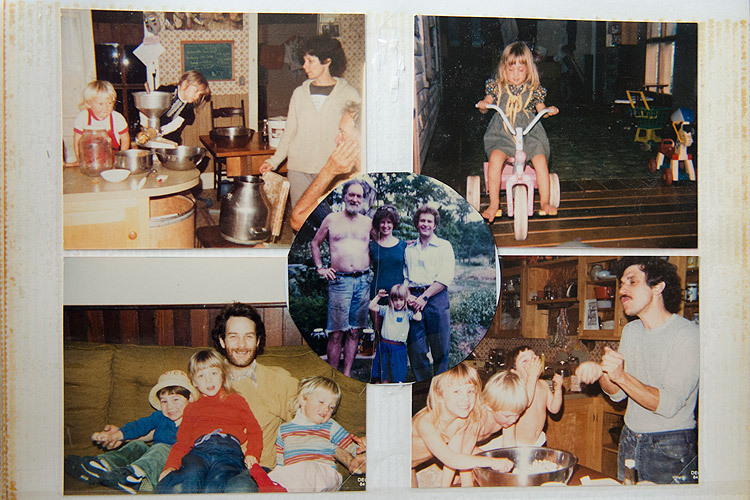 In 1981, nine friends founded Currents, Incorporated. They purchased 163 acres of farmland in Ames Township in Athens County. Currents is structured in a cooperative model in which all members are equal. 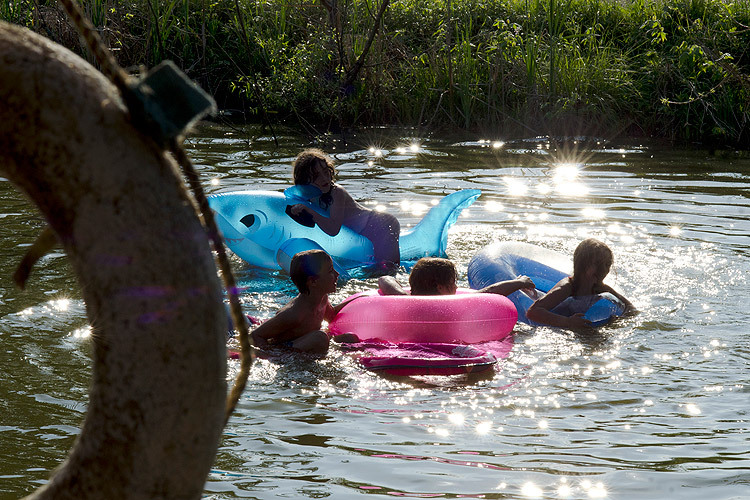 Enjoying the simplicity of nature, fostering relationships, and social responsibility are at the heart of the community at Currents. Having recently celebrated their 30th anniversary, the members of Currents have reaffirmed their goals as a community, taken on new members. 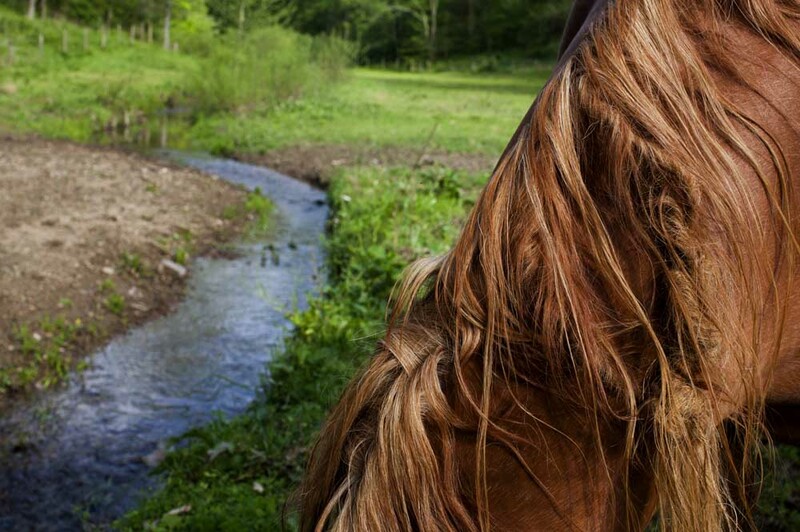 They look forward to their future living together on the land they call home. At Currents there is a strong feeling of community and fellowship. 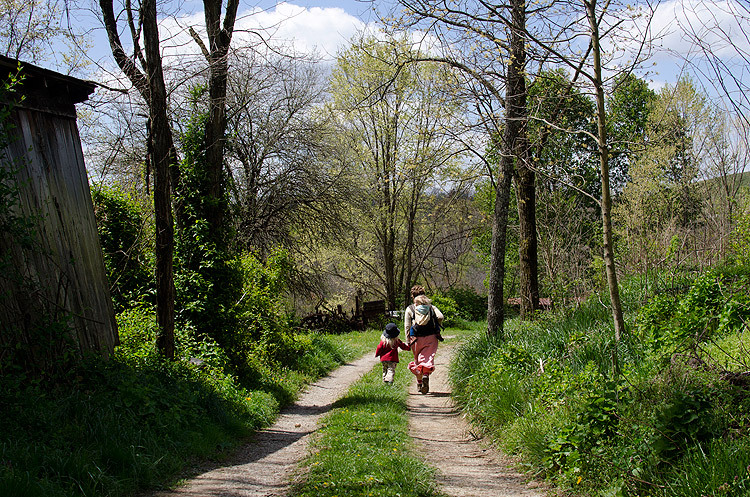 After picking up her son, Immanuel, from Missy Whaley’s Waldorf School at Currents, Lauren Genter runs with her son and young daughter, Miriam, back to their home across the creek. The original group that founded Currents met through an organization called the Federation of Ohio River Co-ops. 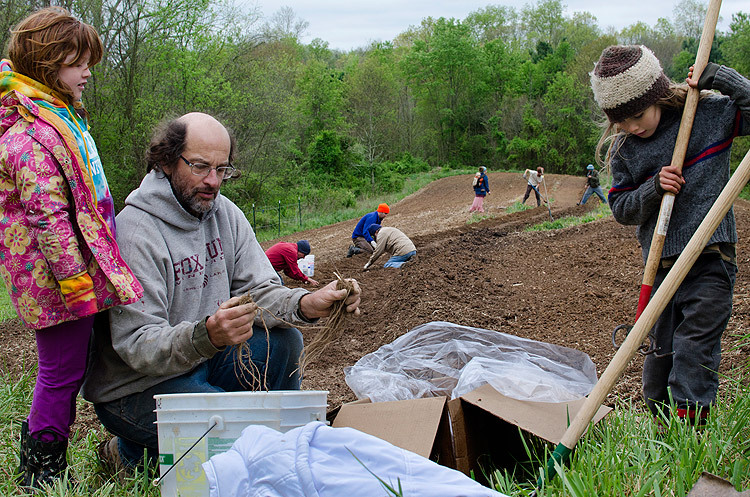 FORC created a cooperative system of food co-ops throughout Ohio and adjoining parts of nearby states. The group that splintered off FORC put their principles into action and brought their values with them when developing Currents. 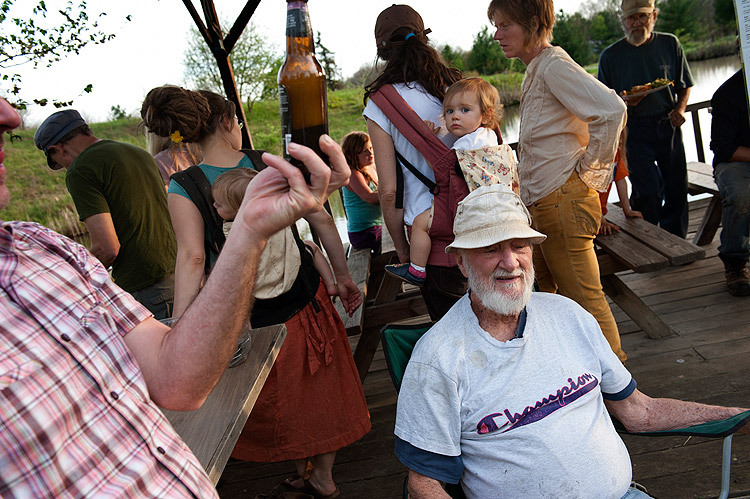 Many members of Currents have dedicated their lives to community organizing. 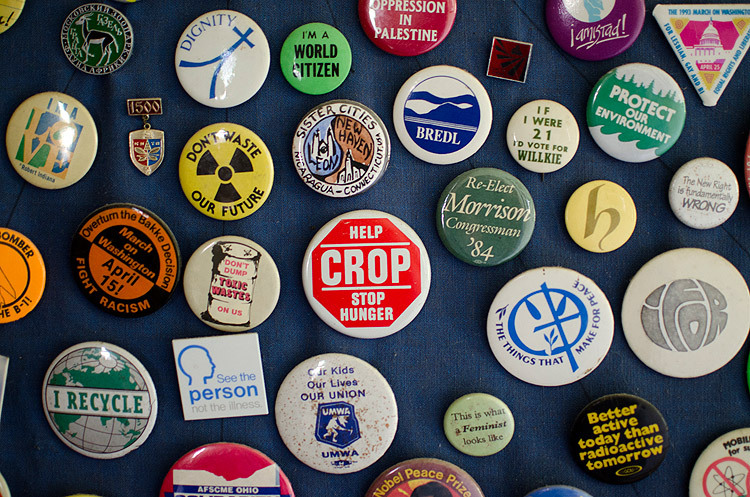 Buttons collected over the years highlight a few of the causes supported by two of Currents founding members, Marty Zinn and Pete Hill. 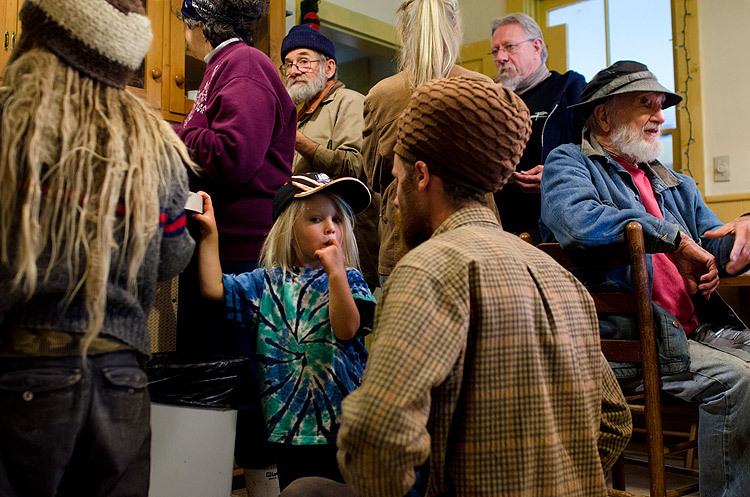 Gathering in the old house for Sunday brunch is a regular event at Currents. It is a time to share food and reconnect with one another. 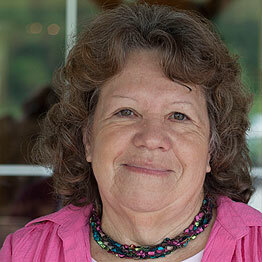 Missy Whaley runs a Waldorf School at Currents. 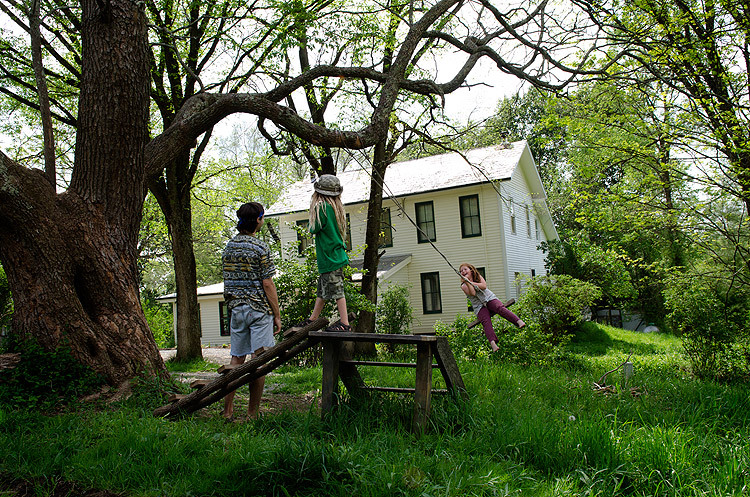 The Waldorf education is known for its focus on early childhood development through sensory-based learning with natural materials in a home-like environment. 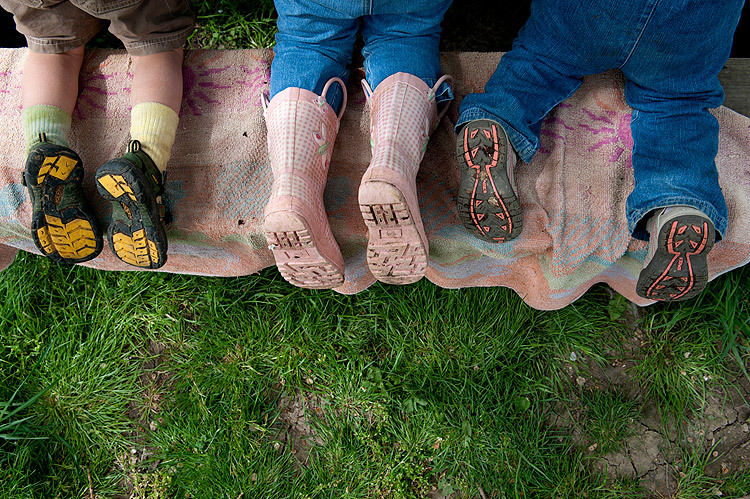 Children are encouraged to explore outside, experience nature, seasons, and weather. The premise of the Waldorf education, Missy explains, is that “the education doesn’t rush them along." "The part that really sings to me is caring for the whole of the child. You should protect the child growing into their soul. It’s a holistic way of honoring each child, so that they can become the best human being they can become,” Missy says. Living at Currents affords people the opportunity to have a lifestyle which works for each individual. Personal stewardship for the land is encouraged, whether it is a life of energy conservation, sustainable gardening, or permaculture. 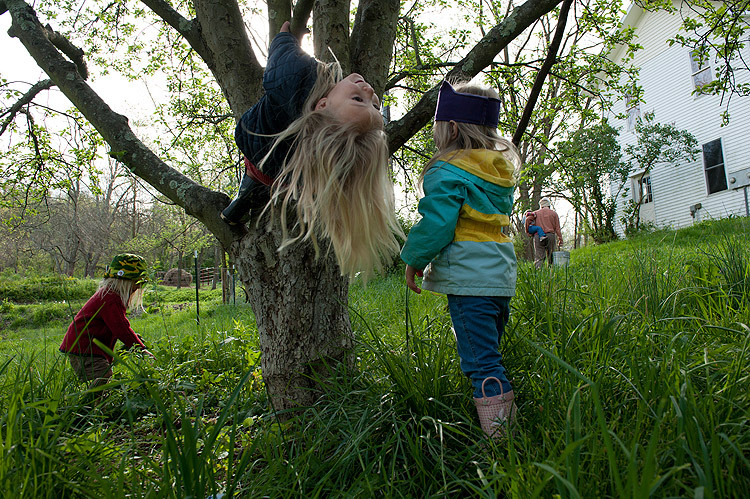 The children who attend the Waldorf School at Currents spend their days outside, experiencing nature, and learning by doing. The development of language takes place through poems, songs, and games. Lauren Genter gardens with her son Addae and daughter Miriam. 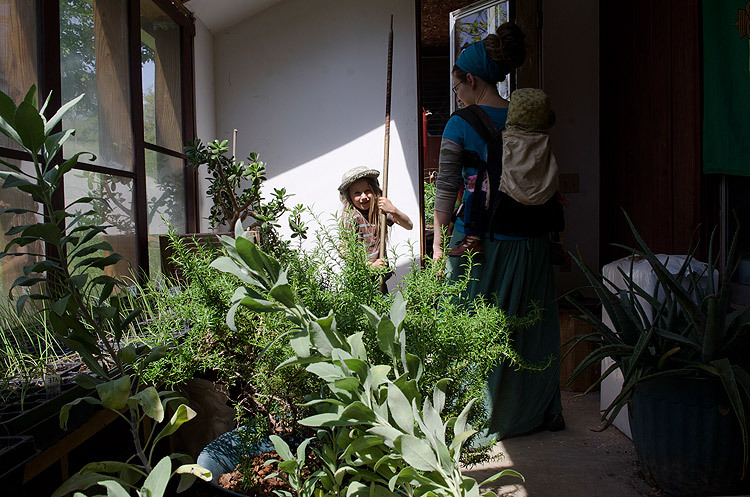 Genter grows many of the herbs she uses for her local business, Ancient Roots, at home. Her herbal remedies, salves, teas, and creams are sold at the Athens Farmer's Market. 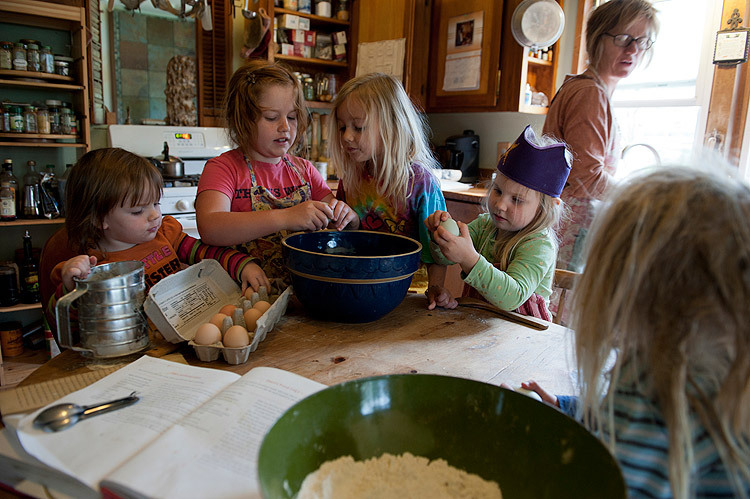 Children attending Missy Whaley’s Waldorf School bake a cake with local ingredients; including spelt flour from Starline Organic Farm, eggs from Michelle McGarth and milk from Snowville Creamery. “Being at home allows you to educate children in how to do things like the dishes and sweeping the floor. You do teach by example, not by saying it. Giving them a safe place to play out roles of what they see. I want to live at Currents because people here have good intentions and the children will see that as an example,” Missy says. 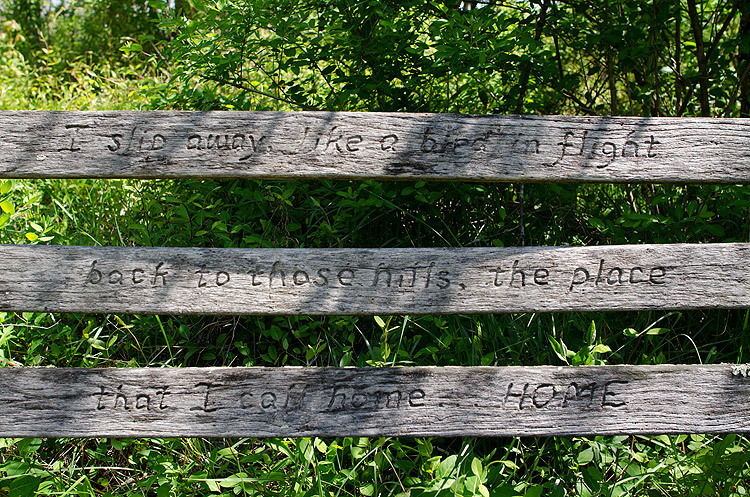 An inscription from a favorite song of community member Tessa Wilkens is carved on a bench near the pond. Tessa lived at Currents at the beginning, raised her daughter here with her husband Roger Wilkens and she passed away at Currents. Members of the community hold her memory close. Well Gavin Power Plant was built back in 1972 to 74. The current issue you are talking about 8 to 10 years ago was them purchasing some property in the Cheshire village area to keep the people from taking them to court over the issue of sulfur and NOx problems in the air. The things that were coming out of the power plant stacks was coming down on people's property right in the village right underneath the power plant. And it was burning peoples skin, mouth sores, we couldn't have gardens, the food was rotten as soon as it was grown, and it even killed a few people that we think, WE THINK, never proved it, that it contributed to their deaths. I've had two parents that died of cancer and it wasn't nothing caused by the power plant, I've had my grandpa lived here all his life and he died in his upper 80s and it wasn't caused by cancer. I don't think that what they put in the air would be any worse on you than maybe stuff you put in your mouth to eat." I got a small farm here it is about 60 acres. Living across from the power plant it's had its ups and downs. When they was first building it you had all the noise you had to put up with driving pylons and of course all the clanking of the barges and stuff, but you get use to it about living next to a train track. Well I really don't have any problems with the power company, they create a lot of dust and things like that, but that's, you know, part of the environment here. And uh, I've got... Well we've got about 60 acres here on the farm and it is pretty well surrounded by power company property. We've got plenty of land to hunt on and we don't have any problems with anybody bothering us or the power company or anything. And uh, it's just a good place to live. The plant works with us now, where the plant use to tell the people what to do. We work with the power plant and they help us each year do something for the village and help us grow a little bit So they are more friendly with us now. Where they use to be more like well they called it a 'David and Goliath situation' and they are no longer a Goliath to us. Ten years ago the 221 residents of Cheshire, Ohio were faced with a life changing decision. 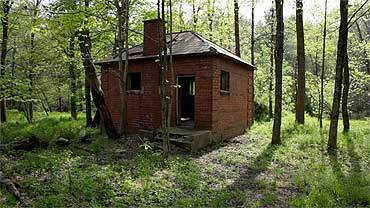 They could either sell their property individually to American Electric Power Company or sell the entire village for 20 million dollars. In exchange for the money, they signed documents releasing AEP of any liability for health issues. About a dozen people decided to stay and fight AEP with one goal in mind: cleaner air. 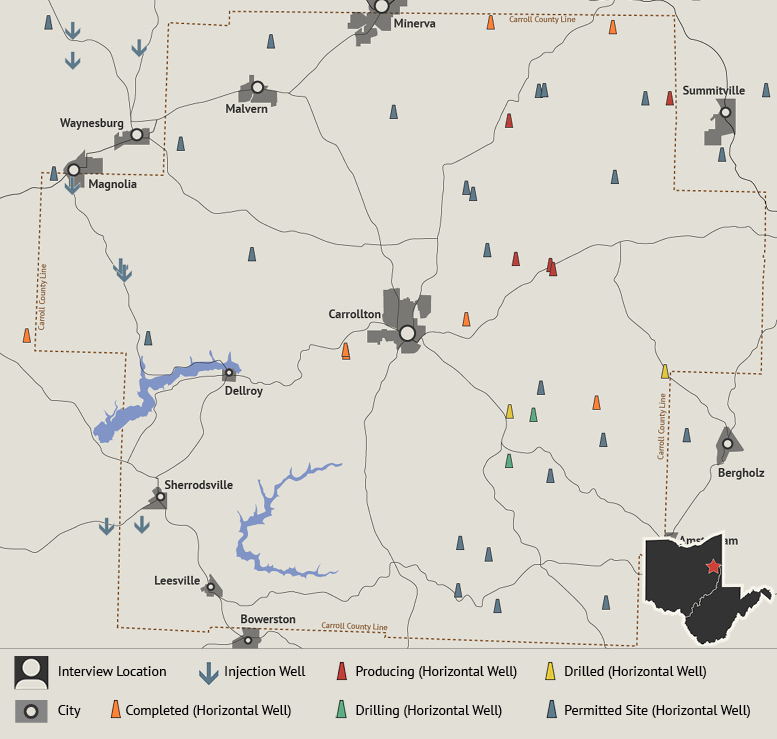 In the past, extractive industries coming to the area created an economic boom. That boom, however, traditionally has been followed by bust, with once lively towns becoming shells of their former selves. 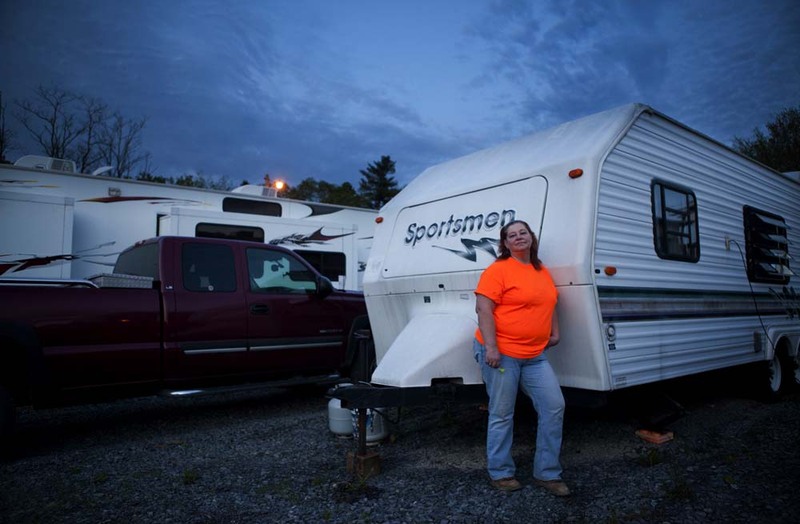 The residents left behind in these towns are then forced to find a new way to live. Basically it’s the same boom and bust cycle that goes through all of these industries…if they don’t want to regulate then they won’t give us money to do our jobs and so then what? "Before the town went out, C. S. Mathaney, the guy that was running the plant, said he'd kill this town. And he did," Bret says. "He killed it." The original brick houses of Haydenville, Ohio, still stand in a row. Kids play in the street. A congregation fills the pews of the town's century-old Methodist church for Sunday morning service. But Bret Cruthers, a lifelong resident of the town, says Haydenville is just not the same. 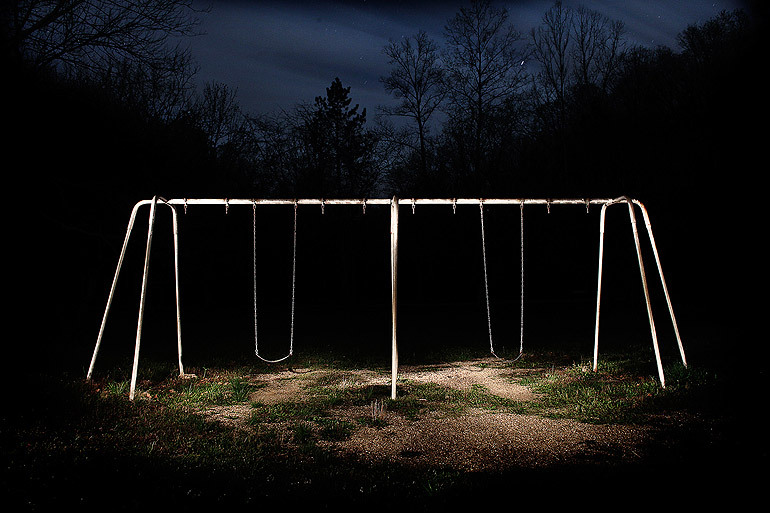 “It’s like the difference between night and day,” he says. After the clay plants which first defined Haydenville’s identity shut down in 1964, local businesses quickly followed suit. The gas station left. The markets closed. Families sold their houses. Those who stayed behind in the once self-sufficient town began relying on nearby cities for a source of income, groceries and other resources. 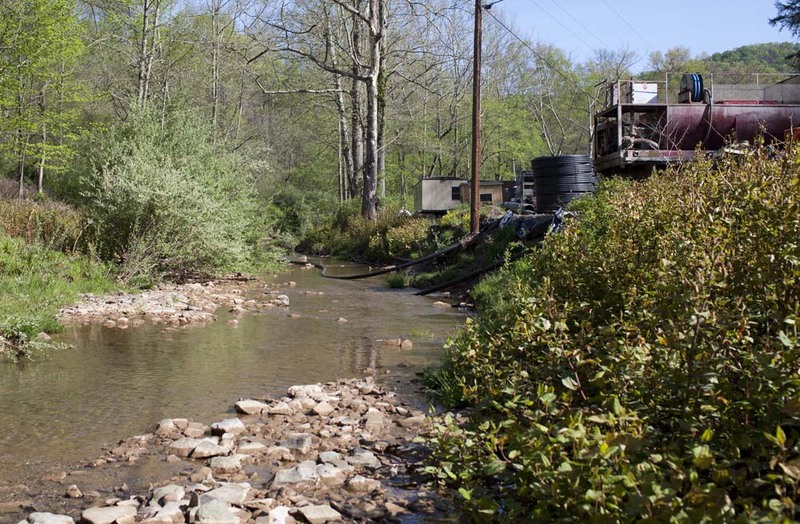 Haydenville’s troubles are familiar to many Southeast Ohio towns that were built up around extractive industries. 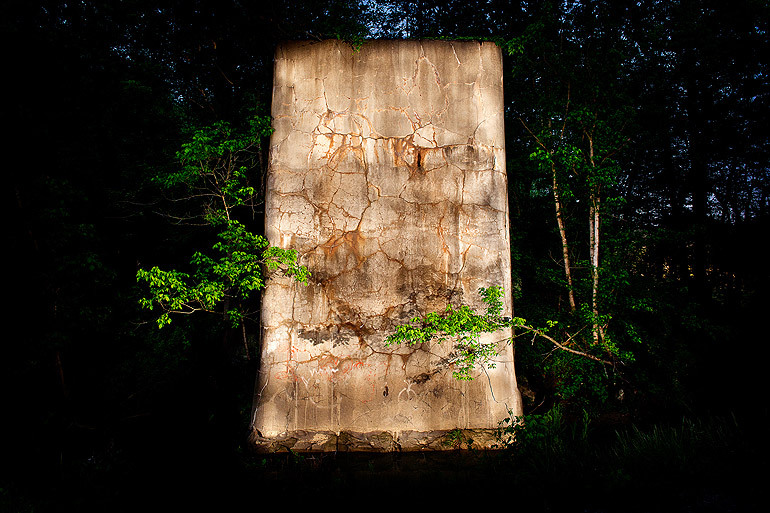 Towns such as Haydenville and San Toy are left only with memories, some old photographs and a generational gap between those who remember and those with the ability to keep that identity alive. 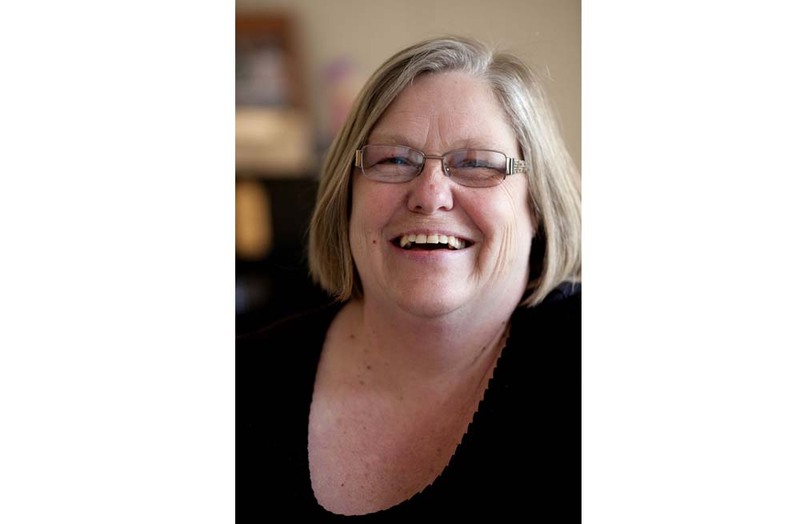 Wanda Kangas is known as Nanny. She is 97 years old and one of the last living residents of the coal town San Toy, founded in 1902 so miners and their families had a place to live nearby. Then almost over night, the town disappeared. Right before the Great Depression, the miners went on strike in protest of low workers’ wages. 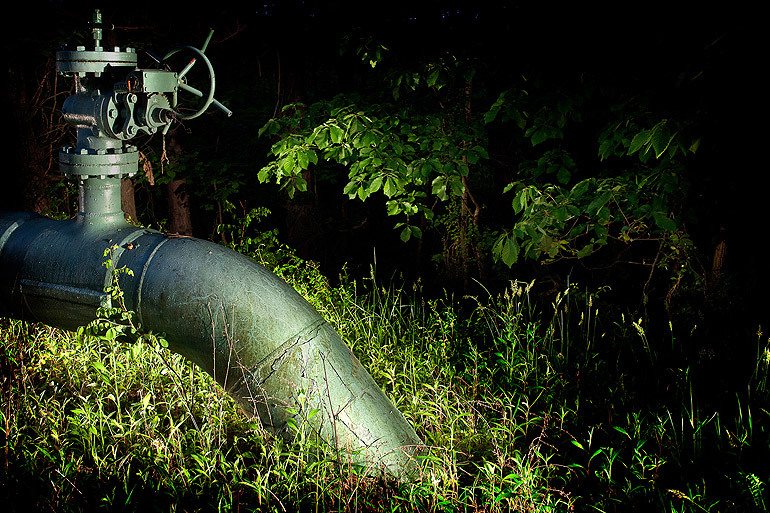 They set fire to the tipples — the structures used for emptying mine carts and sorting coal — of San Toy’s two mines, leaving behind the day’s collection of coal in the carts and the future of the town. The place once predicted to become the “Little Chicago” of Ohio is now just a few houses, a church and some dilapidated brick ruins in the woods. Nanny lives with her daughter Becky Pettet about five minutes away from San Toy’s original church in Malta, Ohio. “A company came in and tore down all the buildings. If your house sold out from under you, you had to get out,” Nanny says. “A company came in and tore down all the buildings. If your house sold out from under you, you had to get out." Standing barefoot on a floor grate that once fed coal-powered heat into the pews of the Haydenville United Methodist Church, Bret explains how the people of his hometown have changed. The church, built in 1893, has had items such as candlesticks and a cross stolen from its sanctuary. “When I was 20 years old, I could have walked up to the door and walked right into that church,” he says. Now, the lock is on the door as some of the residents of Ohio’s last company-owned town do not live by the principles that were once expected. The town company had a code that the workers followed to maintain a peaceful way of life in Haydenville. “If you didn’t want to live by the code, then go down the road and live somewhere else,” Bret says. Sun trickles into the church through the blues and greens of a stained-glass window, a gift from the company owner’s wife. Yet it is guarded by Plexiglas to avoid vandalism. Younger children in town have not been taught the respect that Bret says he learned from his parents. Tile blocks and bricks were used to construct the church, the workers’ houses and stores. The buildings showcased the town’s different clay products, demonstrating ways that Haydenville tile and bricks could be used—like a large-scale advertisement. Bret stayed because of his parents. His mother had Alzheimer’s disease and his father passed away from cancer less than a year ago. Though he has left town four times – once for a 10-year truck-driving gig – he has always returned. Now, 52 years old, he says he is working toward going to school to earn a state-tested nursing assistant degree. Nanny’s stories of bootlegging, murder and mischief are famous in the community, painting a scene similar to the lawless frontier of the Wild West. “It wasn’t nothin’ to get up in the mornin’ and hear of someone getting shot or killed,” she says. Nanny recalls the stories in vivid detail, down to the cold chicken she and her grandmother ate on the day her Uncle Tom pointed his gun at her Uncle Ode, but accidentally shot Ode’s wife instead. Ode found his way into a number of Nanny’s stories. “My uncle [Ode] was the deputy that shot the sheriff,” she says, telling how he was forced to defend himself after refusing to take off the drunken sheriff’s shoes. The San Toy jail, which is now in ruins. The sheriff pulled out his gun; Ode pulled out his. Ode fired first. “Needless to say, he went to the penitentiary,” she says. Nanny also tells stories of when she and her late husband, Charles, fixed up the area’s only church, which had been closed for a number of years. 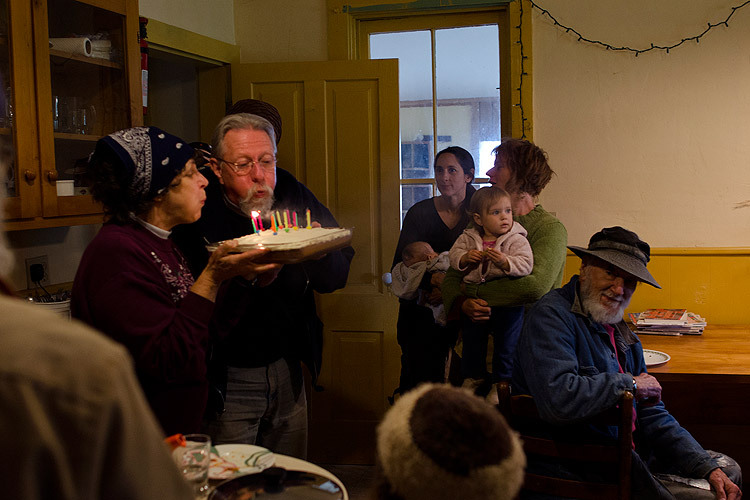 The couple would haul a group of kids up to Portersville for church—more kids than could fit in their car. A few townspeople pitched in to help, and the church, once shared by every denomination in town, became a pillar of the community once more. Josiah Windell stands tall behind the pulpit of San Toy Holiness Chapel every Sunday morning to continue that tradition. Though the 32 year-old pastor has preached in the town for just a year and a half, his close relationship with remaining San Toy residents and families who live nearby grants him an insider’s view into the old town’s dynamic. But he sees how San Toy’s history is dying along with its identity. “Think of what this area would be... It was like the metropolis of the area. It had a hospital, the churches, the theaters, the jail. It had everything. Two thousand people. Imagine how many that would have turned into now." “Outside of her [Nanny’s] family and some of the older ones that live around, nobody knows much about it anymore,” Josiah says. People moved to San Toy because of the coal mining opportunity, he explains, and there isn’t a reason for anybody or any business to return. But it’s difficult for him not to consider what San Toy could have become, had the mines not gone up in flames over 80 years ago. The entire property of San Toy is up for sale, Josiah explains, but the price exceeds a reasonable amount that a person would pay for an area dubbed by local newspapers as “the town that was.” The church is really all San Toy has left. As a town, Haydenville will be there for a “long while,” Bret says. 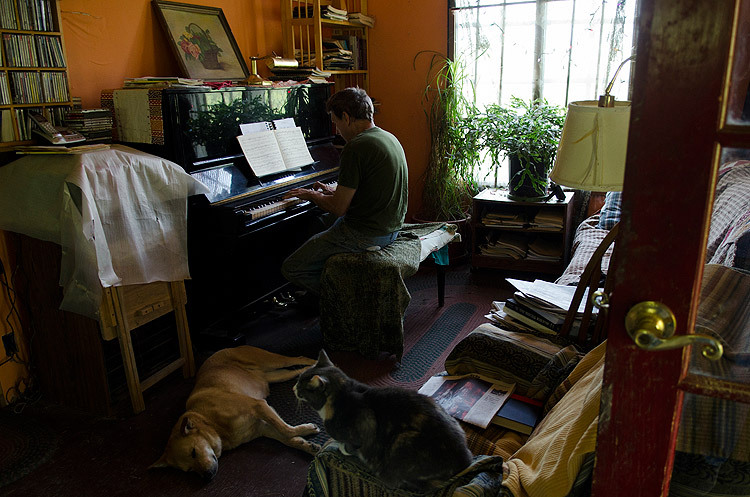 But the way he sees it -- as a historical district -- the future of his home is very bleak. He says he feels current residents have no idea about the town’s rich history and that they just don’t care. Bret’s knowledge about how Haydenville appeared in its hay-day comes from his grandfathers, a boilermaker and a brick mason in the area. The community’s history will likely fade away, Bret says, unless the town’s kids find an interest. Bret and Nanny have shared their stories. Now, they just need future generations to keep those stories alive. 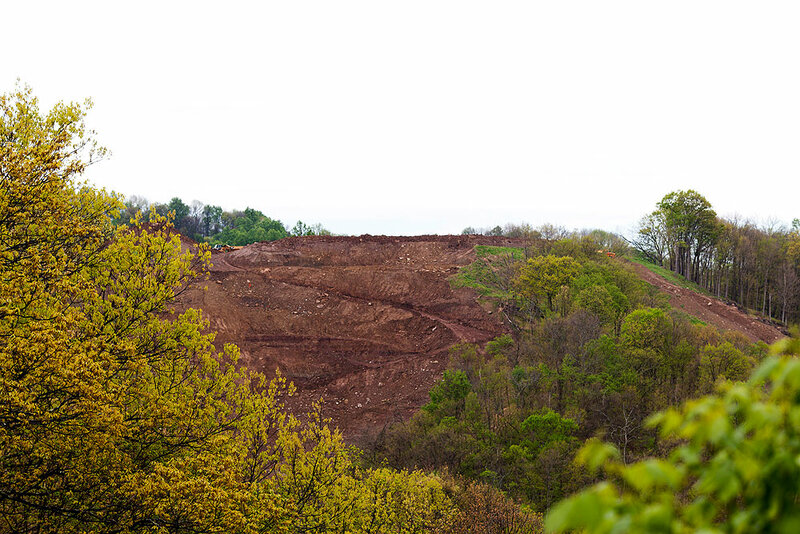 The boom-bust cycle of extractive industry in Southeast Ohio, and the impact it can have on the people who live here, has not gone unnoticed. In response to the issue, multiple approaches and outlooks have developed. From grassroots activists fighting to alter individual paradigms, to successful business owners working to address the same perceived problems institutionally. Though they approach it from different angles, both camps seek to sow seeds of change. I'm a utopian. I'm an anarchist. 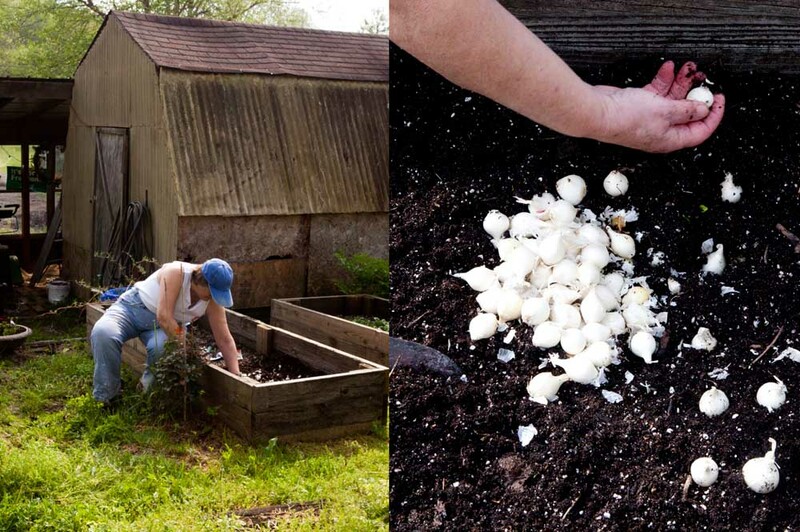 I really like permaculture. 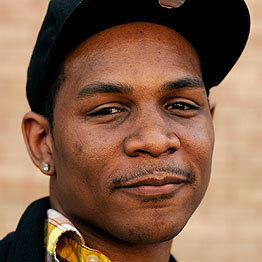 My name's Badger Johnson, I'm the community gardens and food education coordinator with CFI, Community Food Initiatives. And I thought I might just move out of the country and start farming after college, but when the opportunity to continue to organize and get paid and make more connections and learn more skills came around, then I was just like, "Yes!" We are trying to come up from the grassroots to help people out. That's why we do it, teaching people to be able to rely on themselves for food. 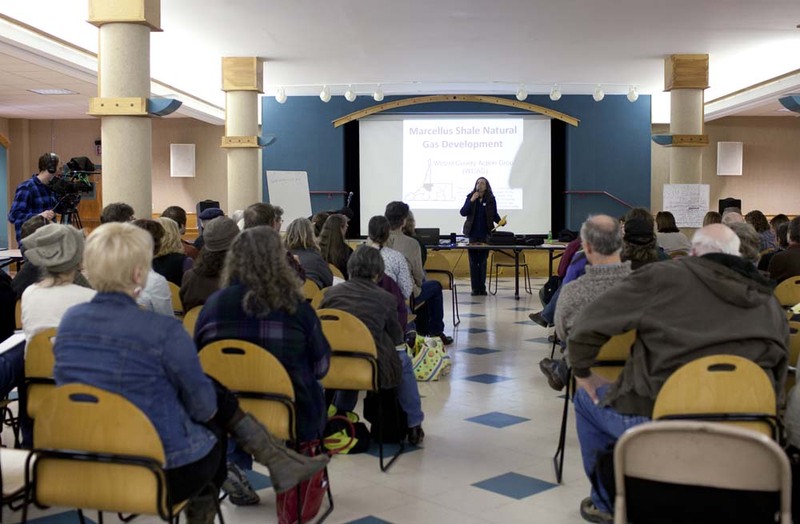 Connecting the dots for people is the work of a community organizer and sort of stitching together the story of a community. 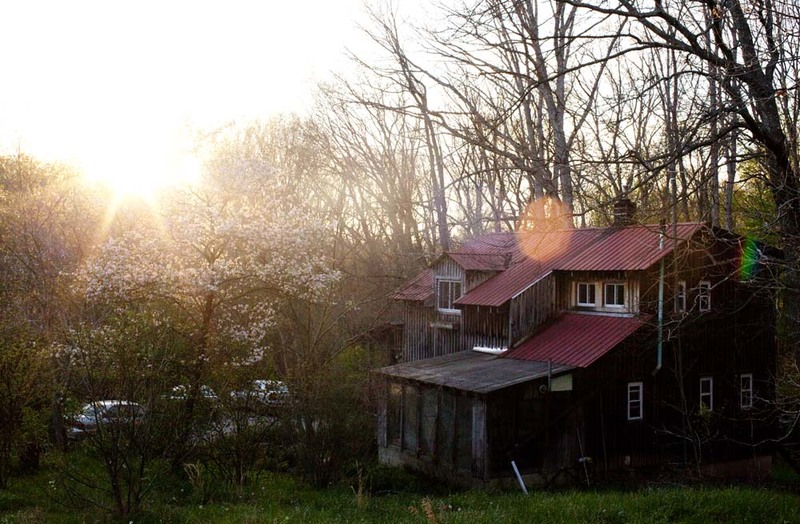 How do you address poverty in Appalachia? You know, how can we help ourselves really? Cause there's no one coming to save Southeast Ohio. You have a lot of problems, health problems that go along with that like obesity and type 2 diabetes. And many of those can be changed, can be addressed directly, through eating lots of fresh local vegetables. There's billions of organisms down there in like a tablespoon of healthy soil. And that's what allows organic gardeners to grow vegetables without putting fertilizer down, is this complex web of life that you nurture. 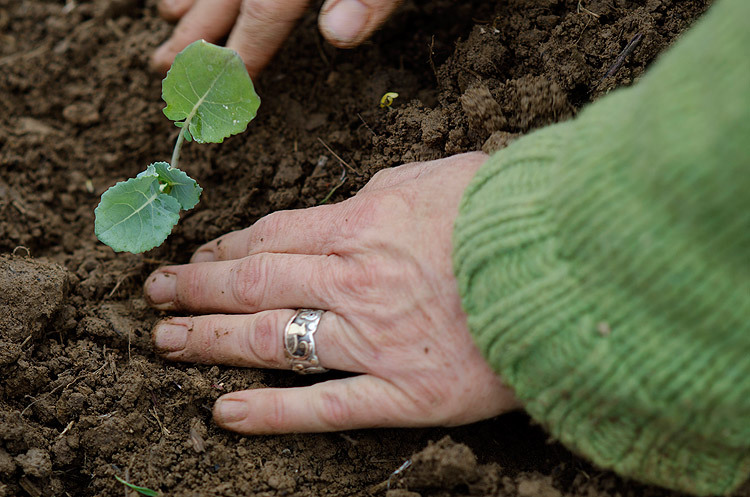 I'm trying to get that paradigm instilled as much as I can in all the community gardens around here, because that sort of care for the earth, and how that translates into care of yourself, if you grow the vegetables is really closing the loop. It's really painful to see the earth treated in such a destructive and derogatory way as it's been treated here since European colonization. It might sound a little new-age, but I think 'Earth as self' is not too much of a stretch. Sometimes I feel like we're a drop in the bucket and sometimes like, I feel like, at our best, we are helping people wake up. 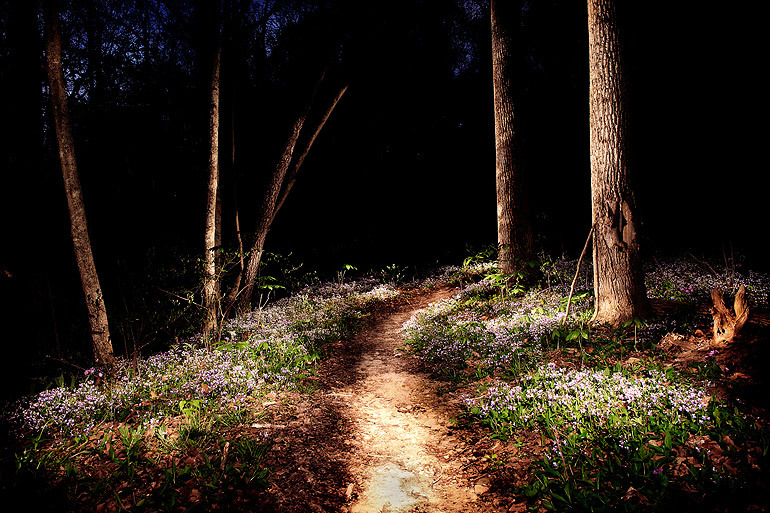 What I see when people become more aware of their health and their connection with nature is oftentimes there will be some healing to do. There's a lot of healing that needs to happen and it happens spontaneously if people can just sit with it and do some gardening. 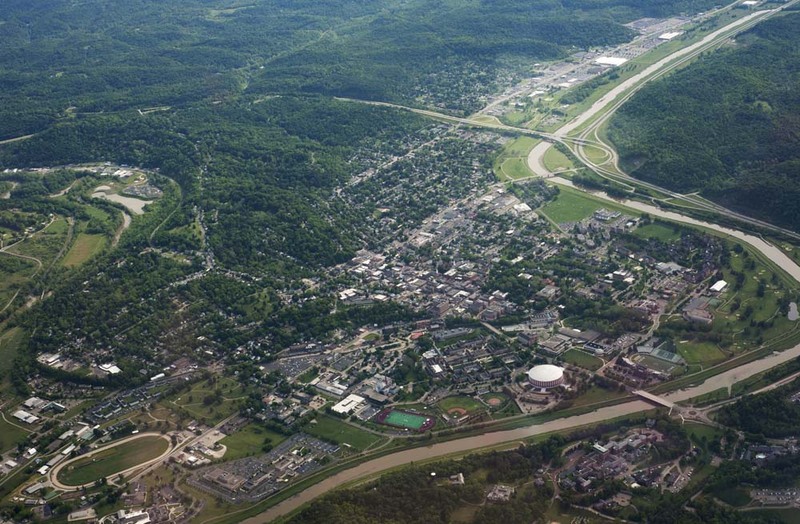 Between sprawling farmland and the cultural hub provided by the City of Athens, Athens County is a unique area in the Southeast Ohio region. 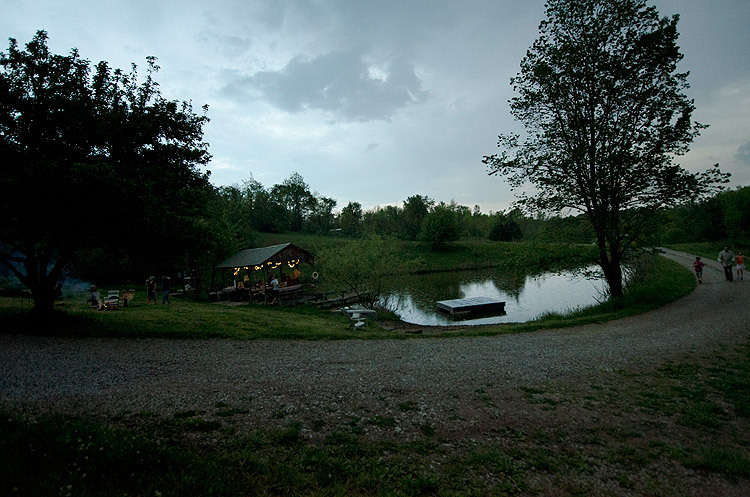 With a population enthusiastic about buying and eating locally and a number of farmers eager to provide, the Athens community stands outside the norm for rural Ohio. In a region long defined by industry and poverty, businessmen and food producers like Warren Taylor and Chris Chmiel are working to redefine the legacy of Southeast Ohio. However, building successful businesses is not necessarily enough. Both men recognize the need for leadership and examples to follow before lasting change can take place. They see the need for a change, and they want to help make it happen. Snowville Creamery remains a small operation co-owned and ran by Warren Taylor and his wife, Victoria Taylor, along with 30 employees. Warren used to joke about starting a creamery with his friends Bill Dix and Stacy Hall. The two are caretakers of the land where the plant is located and the 220 cows which produce the milk. Snowville’s milk is bottled from grass-fed cows, pasteurized to the lowest allowed temperature, and is not homogenized, so the cream rises to the top. The milk is delivered from the cow to the grocery store within 48 hours. Warren, whose fervent beliefs about dairy led him to start a creamery, has a similar outlook on politics. Concerned by the effects he believes big business has on the government, he decided to try and run for Congress in 2012. Warren worries about the state of representation in America, “…we don’t have a representative democracy.” he states. 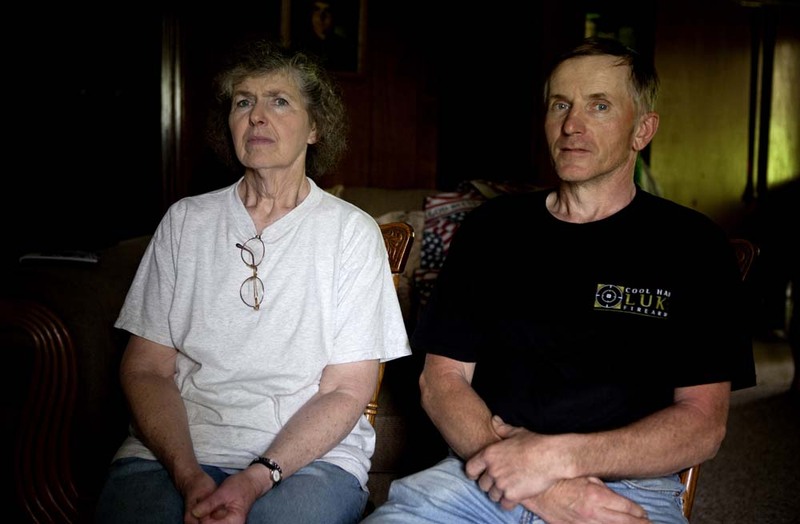 For Warren, the final straw was fracking in the Athens area. 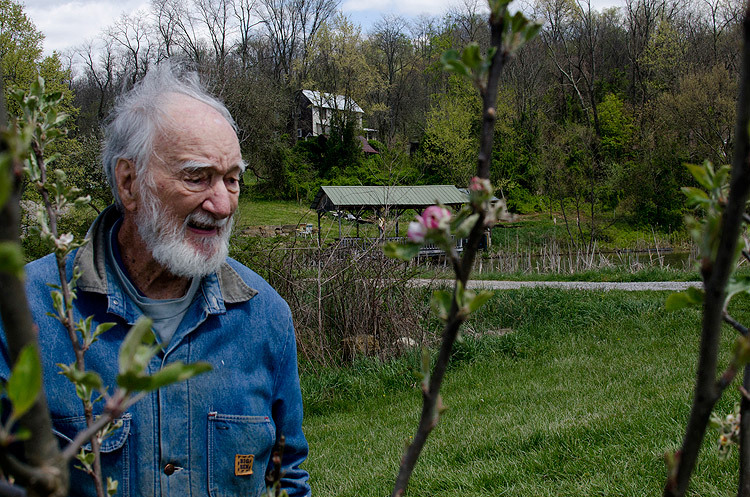 He vividly remembers dead water and bare red clay hills around Meigs County, a result of strip mining in the 1950’s. Warren says that thousands of acres of once fertile cropland have been worthless ever since. The value of the coal extracted from the earth was less than the value of the land would have produced in the past forty years. Warren recently learned that due to registration issues, he would not be able to appear on the ballot. However, this does not change his attitude or resolve. "It's all okay," Warren says, "It isn't about me getting elected, we need to have the people engaged." He believes that change is on the horizon as long a people pay attention and know who is representing them in government. Athens, in his eyes, is an area that is already a sustainable community; now, Warren wants to help the rest of Ohio along the same path. 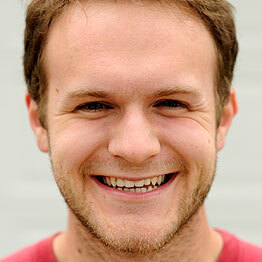 He hopes to use small business and environmental ideals to improve the health of the region. 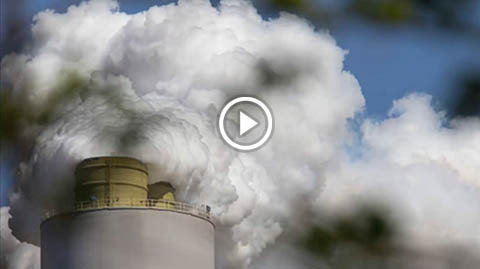 "If we don't take action now, it will effect our future generations." Warren says. Warren Taylor is not the only local farmer determined to make a difference on a large scale. 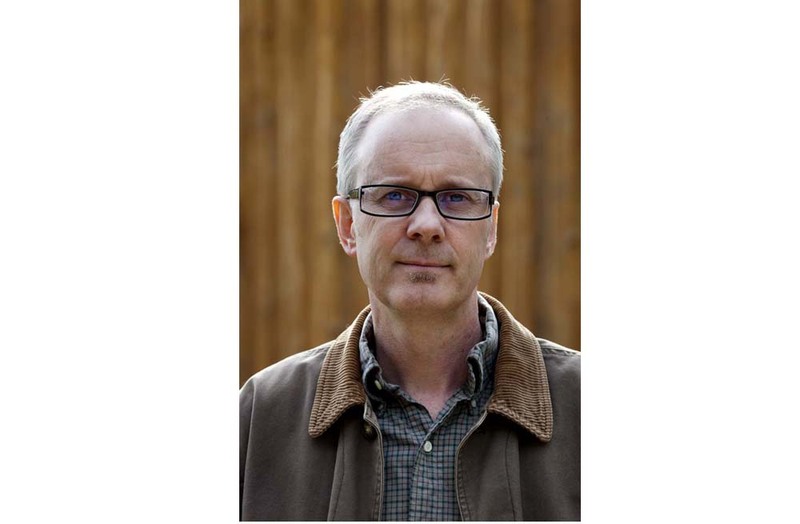 This past March, Chris Chmiel, owner and founder of Integration Acres farm, secured the Democratic nomination for County Commissioner. “I think I could bring some great ideas to the table and a different mindset to help Athens continue to progress-- make more positive changes,” Chris says. He promotes sustainable development and organic agriculture, using his own experiences as an example. 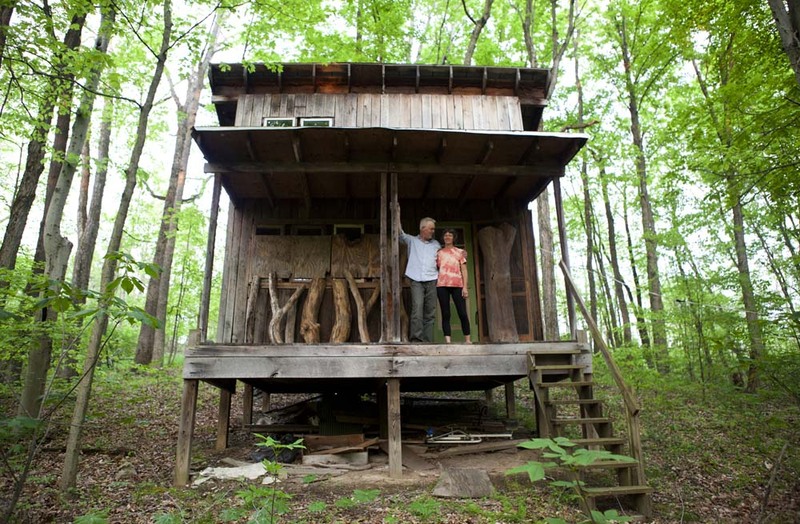 Chris and his wife built their own home; a passive solar house which has tires as the foundation. 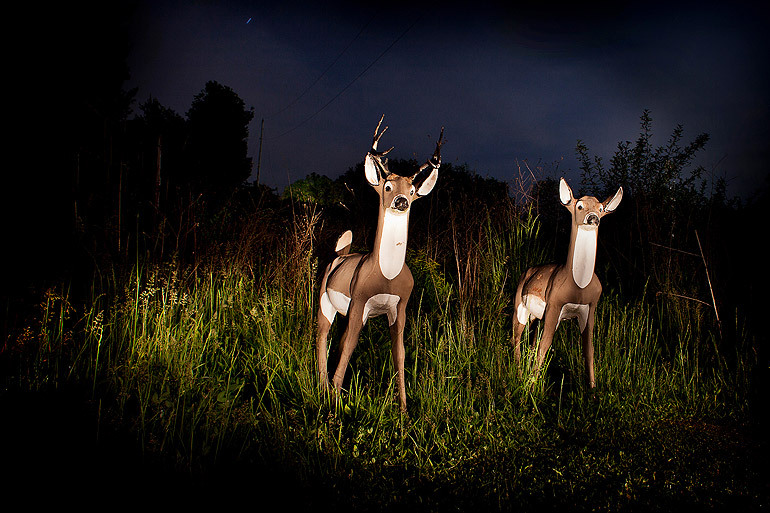 “Were working with the nature and we want to show that this actually does work.” he says. 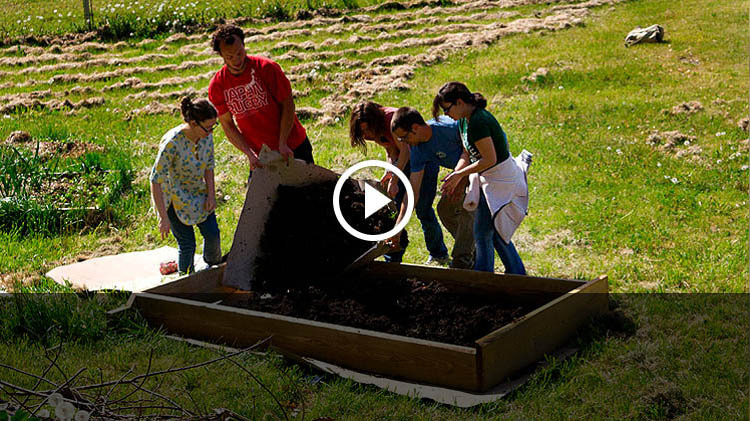 “I think that our local food movement is a great example of how we can create prosperity and we can create wealth, we don’t have to wait for some big companies to come save us.” Chris says. Chris Chmiel, owner of Integration Acres farm, founded the annual Pawpaw Festival in Athens County in 1999. 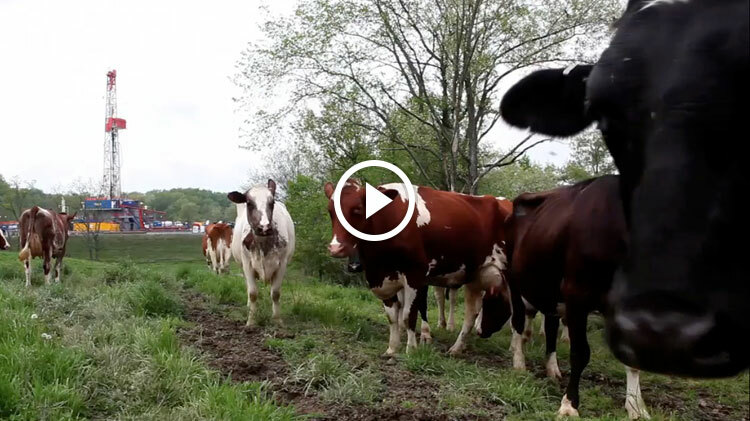 He tries to demonstrate his beliefs with his own farm. Integration Acres is an organic farm in Albany, Ohio. 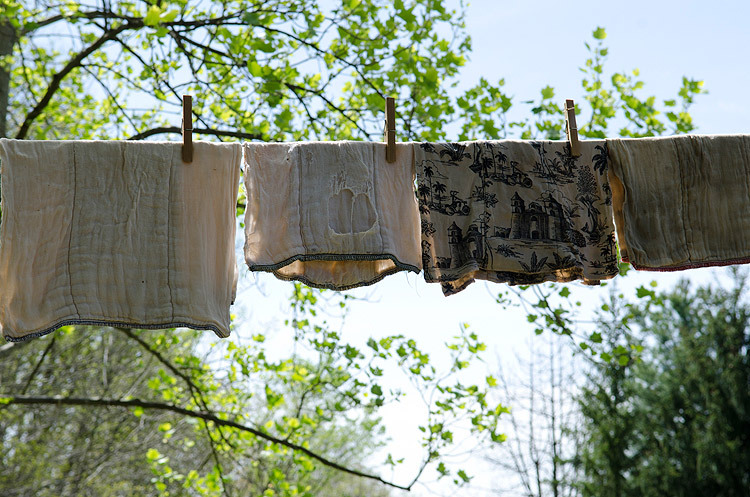 After graduating from Ohio University, Chris Chmiel wanted to find a way to create a livelihood that would make money, but also mesh with his sustainable values. 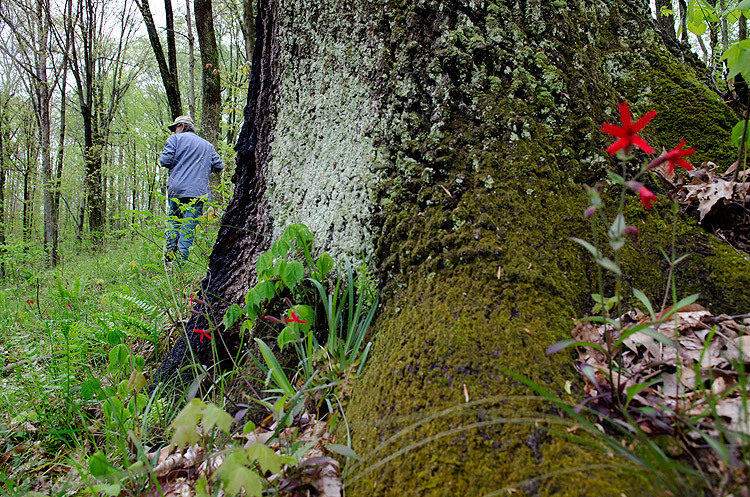 After moving to Albany, Chris became infatuated with a native Ohio tree – the pawpaw. Pawpaw trees are a pest-resistant species, which produce an edible fruit, often described as a cross between a mango and a banana. Chris began working with the pawpaw trees in 1996 and is now the world’s largest pawpaw processor. 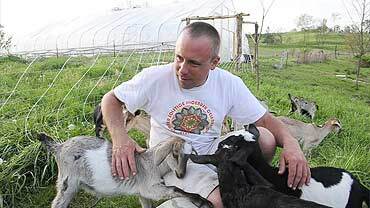 Because animals do not eat the fruit, Chris decided to start working with goats six years ago. Today, Integration Acres is home to a mixed breed of 75 goats. The goats are pasture-based goats. Chris jokes about never having to the mow the field, he has helpers to do that. The goats are rarely wormed and they get daily exercise to reach their food. The animals are only milked when they are able to eat the pasture. “The whole idea of coming up with a sustainable agriculture model where we use the animals with the pawpaws is what the heart of Integration Acres is.” Chris says. 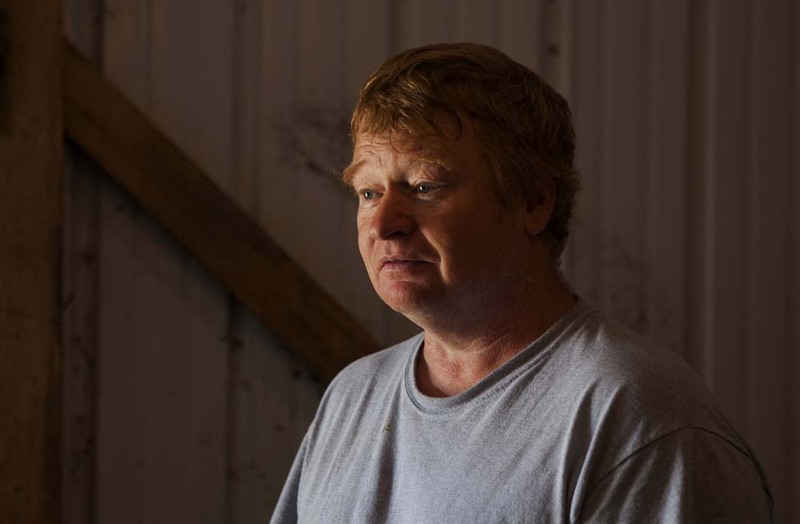 He and his wife, along with three part-time employees, care for the 30-acre farm. 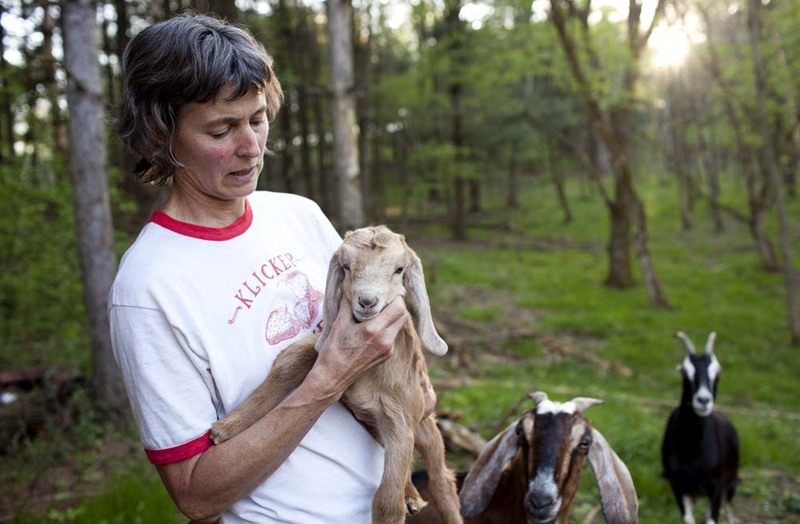 His wife, Michelle Gorman, makes cheese from the goats’ milk. In their greenhouse, they are currently growing pawpaw sprouts, tomatoes, basil, peppers and cucumbers while in their garden they grow things for their fermented foods. Whatever products and raw material they cannot produce themselves, the couple tries to obtain locally. Integration Acre’s products are mainly sold in the Athens and Columbus areas, but also online. Chris explains that by selling their food local, it keeps the money local. Many people were unfamiliar of the fruit before Chris began selling pawpaws. He began the annual Pawpaw Festival in Athens County in 1999. Chris is using the success he has found on his farm to launch his political ambitions. While thoughts of sustainable business models and land-friendly living may be appealing, they are not always feasible. Southeast Ohio is a region wracked with poverty, currently compounded by the national recession. 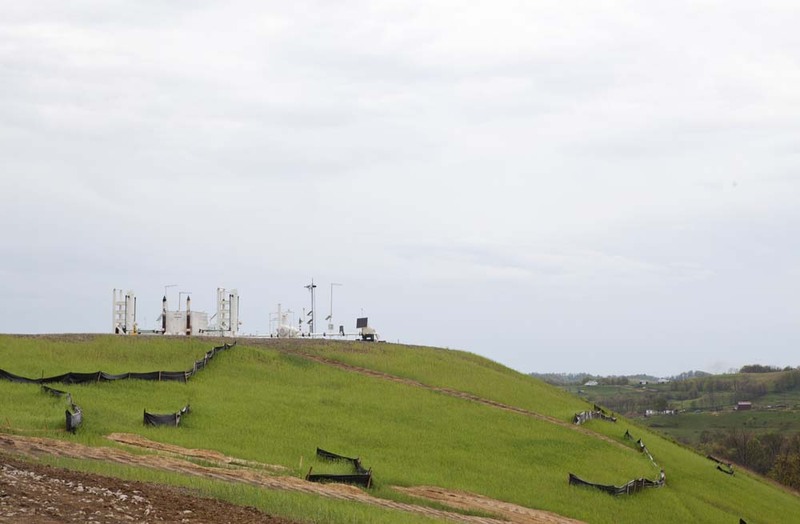 For many, the high material value placed on the land by extractive industries offers life-changing opportunities that would otherwise be unavailable. 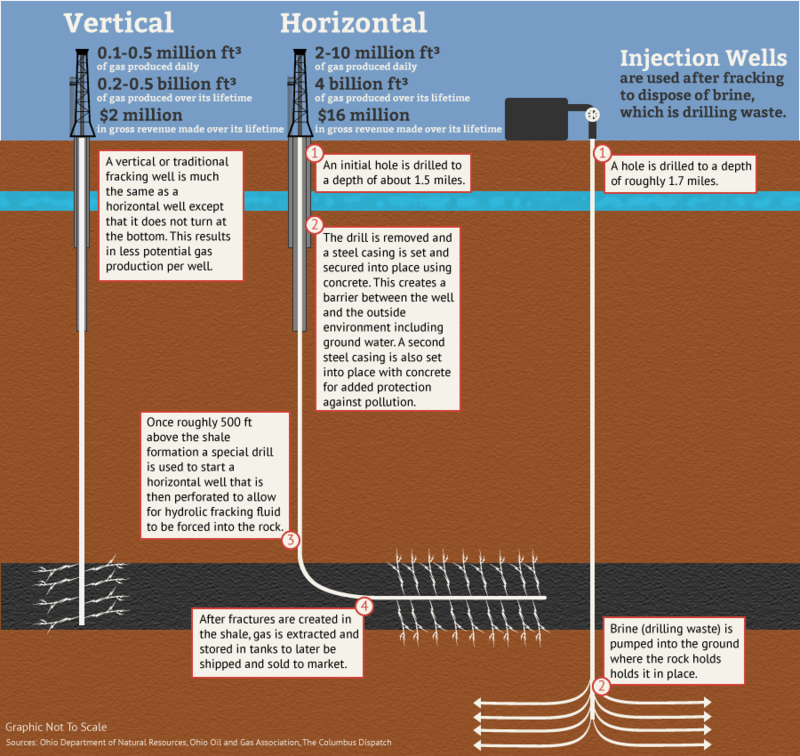 Hydraulic fracturing, a method of natural gas mining, has been at the forefront of the current debate. 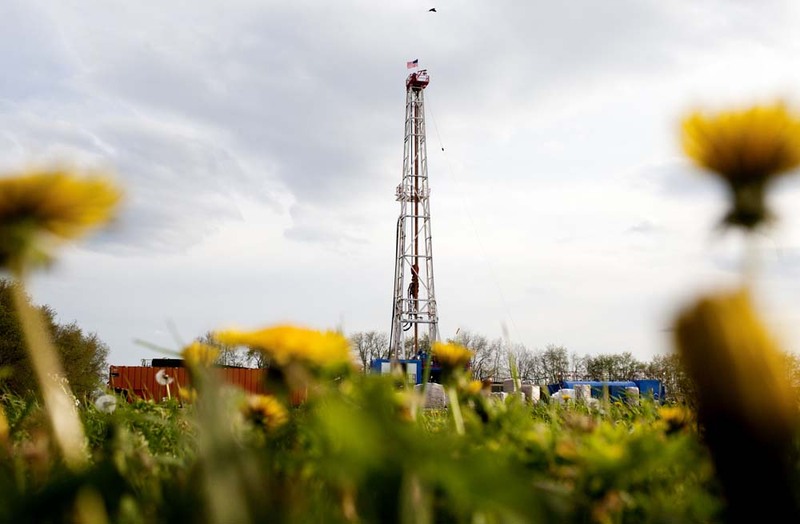 Critics label fracking as environmentally devastating and hazardous to people’s health, but proponents laud it as a route toward energy independence and an economic dynamo. The issue creates choices as complex as they are contentious. There’s no jobs here, so this is pretty much all we got, the land. 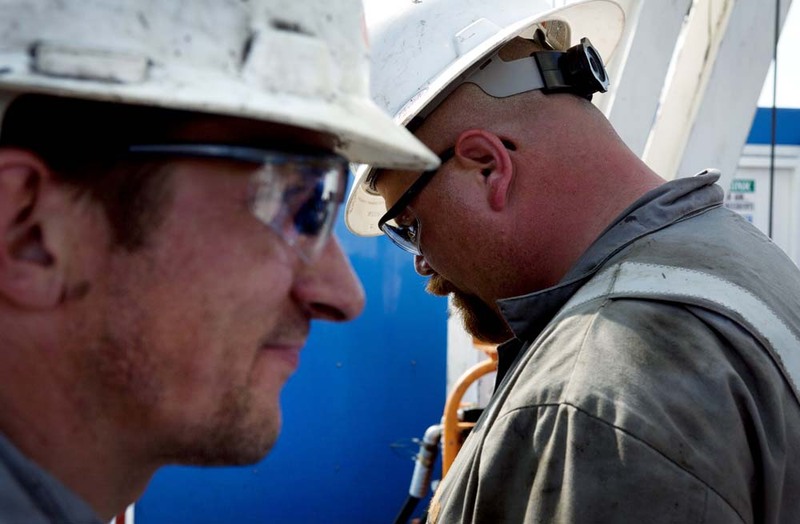 I think if fracking will bring jobs to southern Ohio it’s a good thing. Carroll County, Ohio. 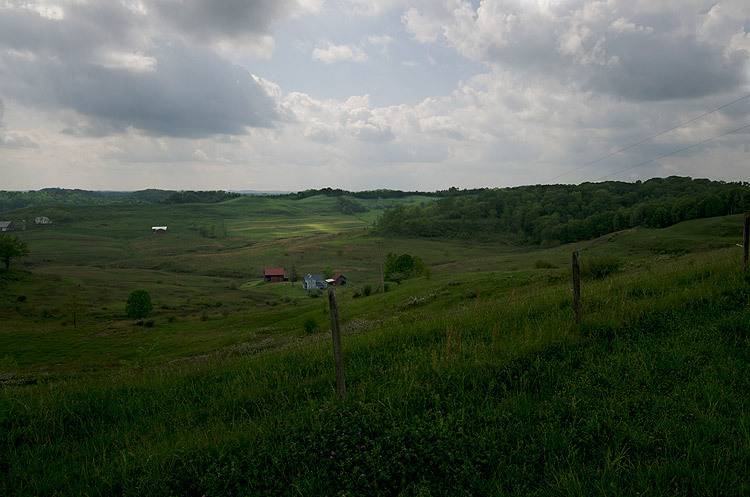 The 28,836 residents of Carroll County, Ohio, situated in hills of Appalachia, are quite proud of its rolling countryside, scenic byways, and natural beauty. Home to several buffalo herds, a number of alpaca farms, and traditional farms, Carroll County considers agriculture as its primary industry. 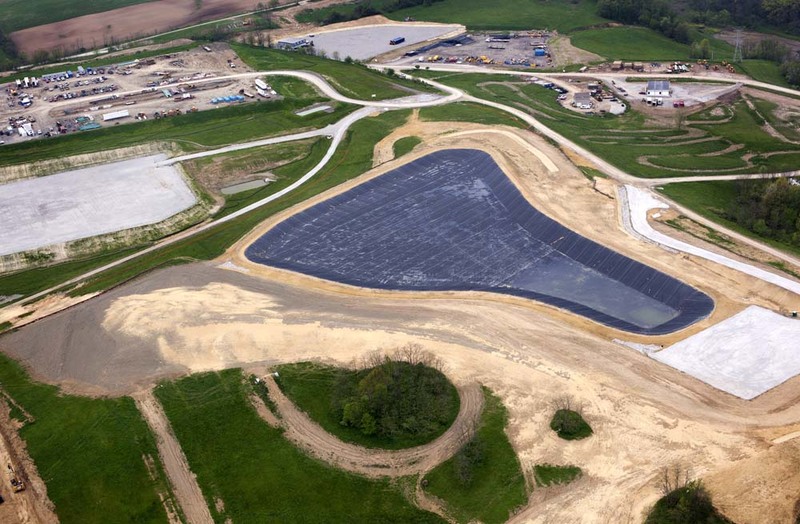 Yet the industry is forced to face a huge threat: the tremendous amount of water used and potential water contamination caused by fracking – a new industry prospering in the area. 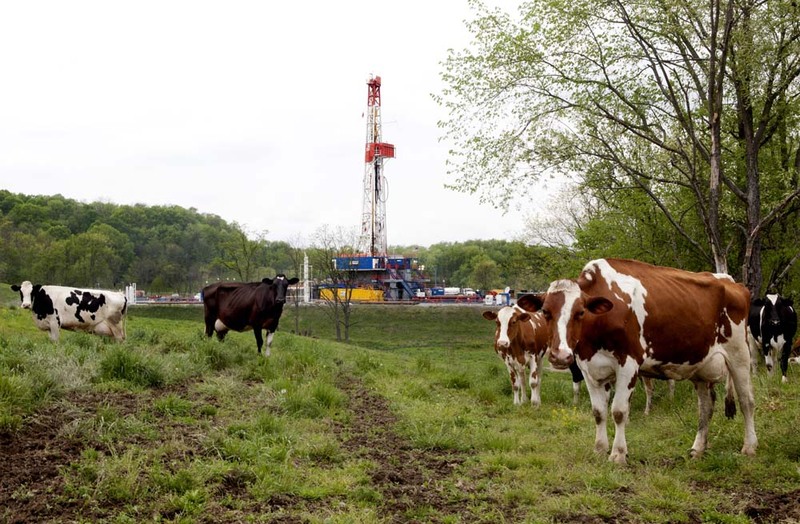 Currently standing at the center of Ohio’s shale-drilling boom, View GalleryCarroll County is in possession of more than one third of all the 127 drilling permits the state so far has approved for natural gas and oil buried in Ohio’s Utica and Marcellus shales. 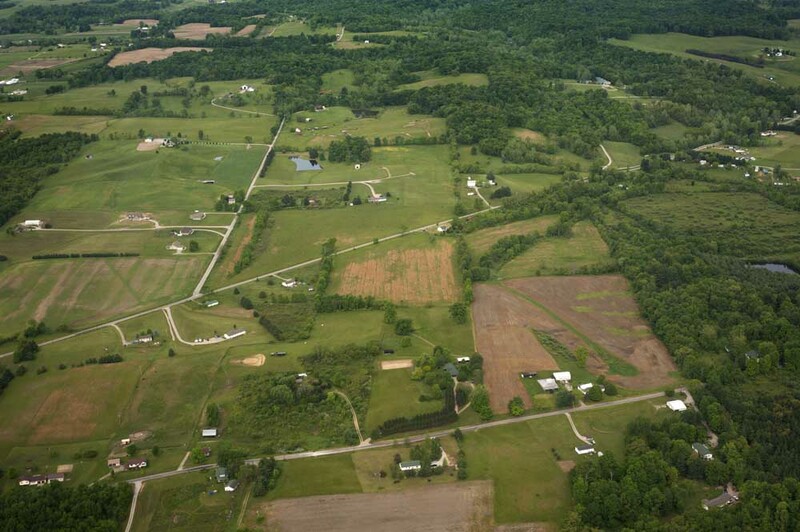 An overhead view of John and Elizabeth Neider's farm and well site. Workers on a drilling site in Carroll County, Ohio. 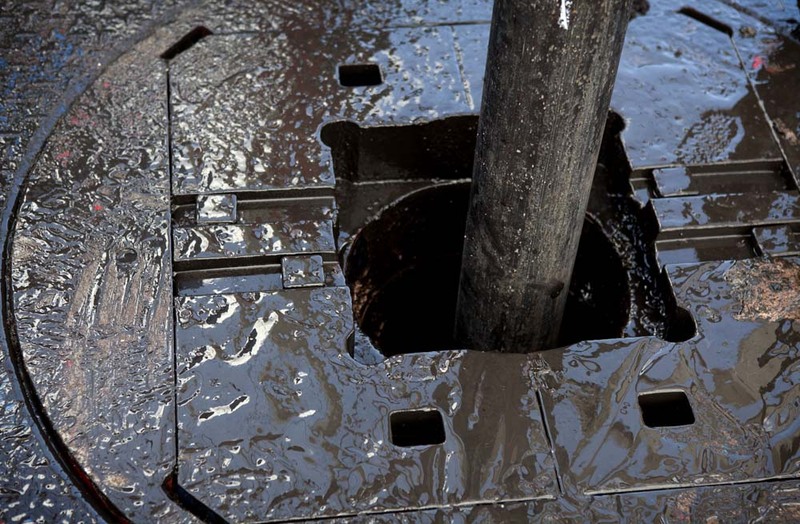 The drill hole, covered by an "oil-based mud" is in the horizontal drilling stage. A worker on a drilling rig sprinkles sawdust over the mud used for drilling gas wells in Carroll County. 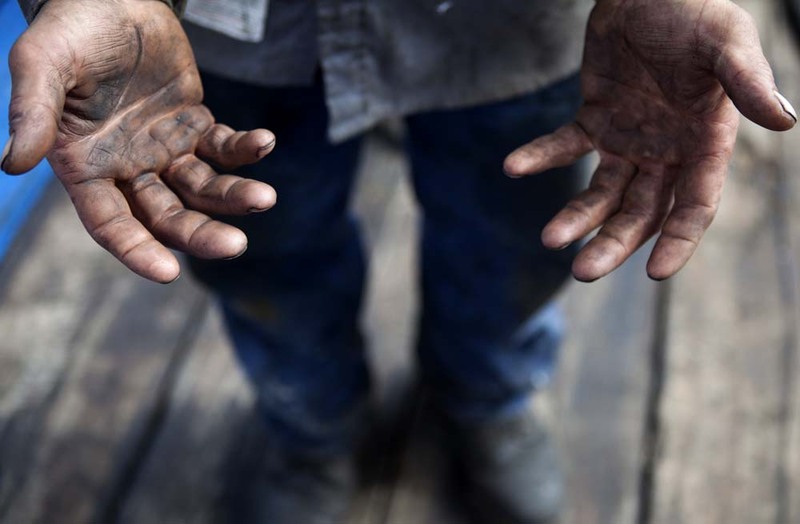 A workers hands covered in drilling mud. Downtown Carrollton as seen from above. 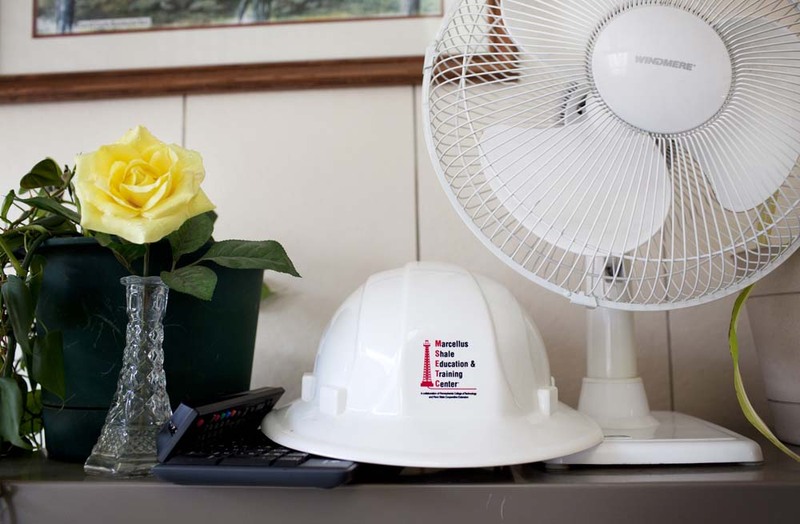 A hardhat for the Marcellus Shale Education and Training Center on a shelf in the office of Amy Rutledge, the Director of Carroll County's Convention and Visitor's Bureau. Amy Rutledge, Director of Carroll County Convention and Visitor's Bureau and life-long resident of Carroll County, is optimistic of gas development in her community. 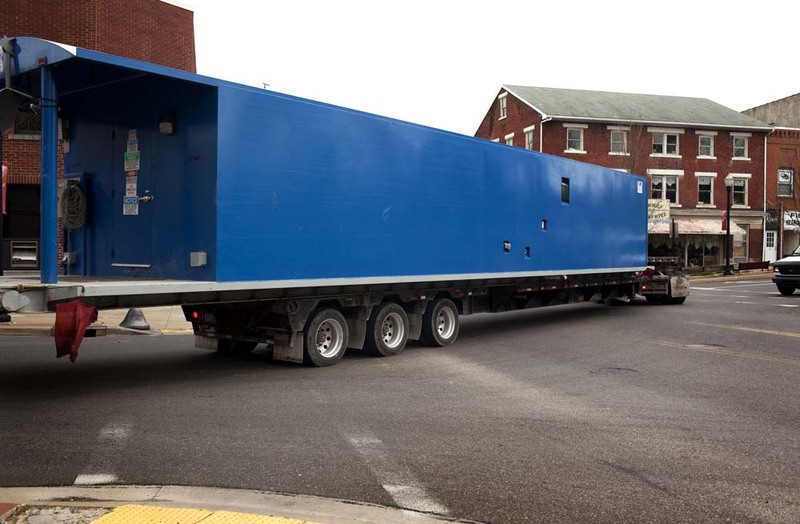 Since hydraulic fracturing began over a year ago, truck traffic has increased in downtown Carrollton. 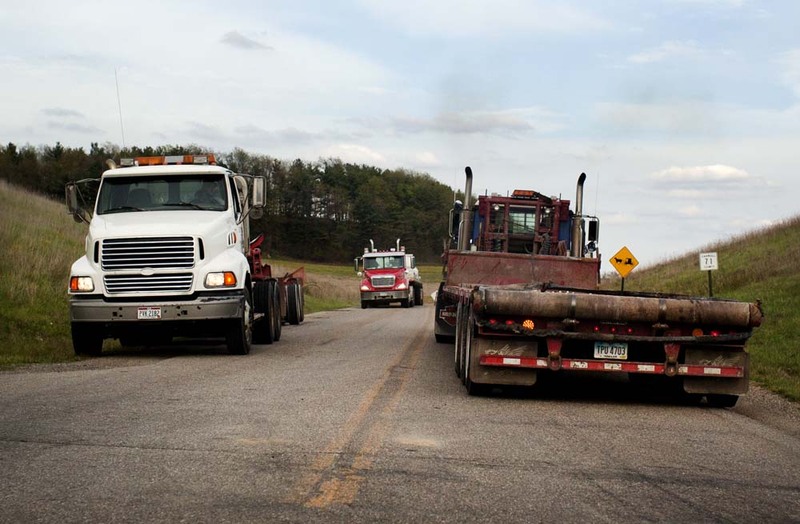 Semi-trucks bring in construction equipment, brine trucks haul fluids daily, and workers travel from location to location. A well site on a farm in Carroll County, Ohio. 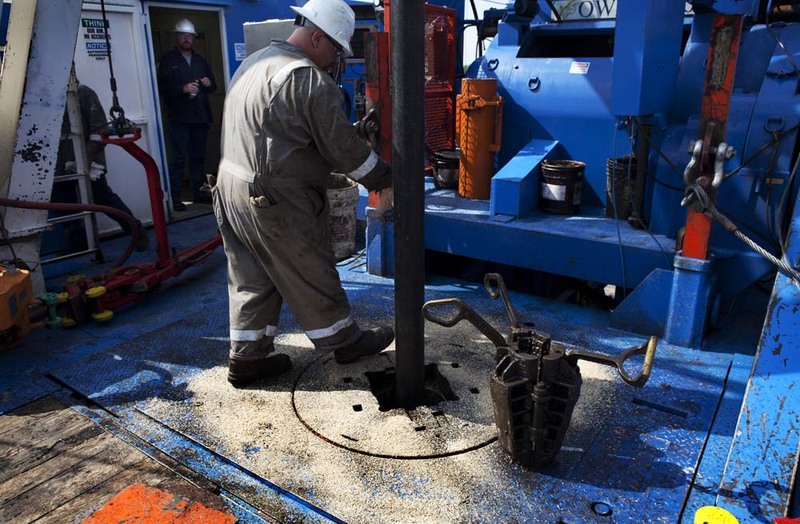 A rig in Carroll County is in the process of horizontal drilling. 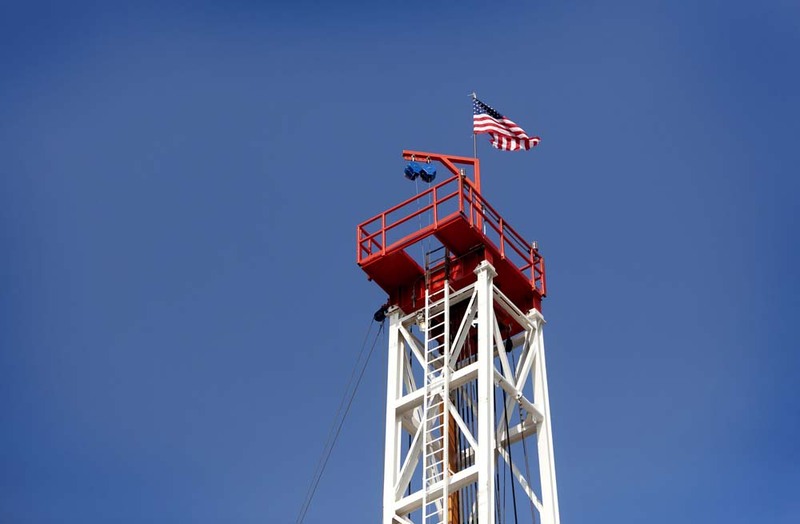 An American flag sways in the wind on top of a drilling rig in Carroll, Ohio. Paul Feezel, a member of the Seirra Club and Carroll Concerned Citizens group, has many concerns for the gas development boom in Carroll County. An empty holding pond on a hilltop in Carroll County. Workers on well site in Carroll County, Ohio. Elizabeth and John Neider, both raised in Carroll, Ohio on nearby farms, now run a 400 acre dairy farm containing a well site. 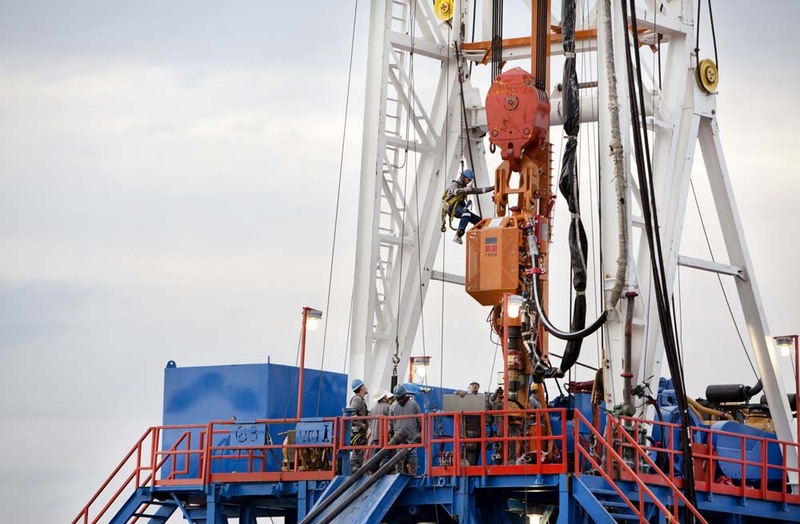 A drilling rig on the Neider farm runs 24 hours a day. Elizabeth says the cows used to be afraid of the rig, but now graze right beside it. 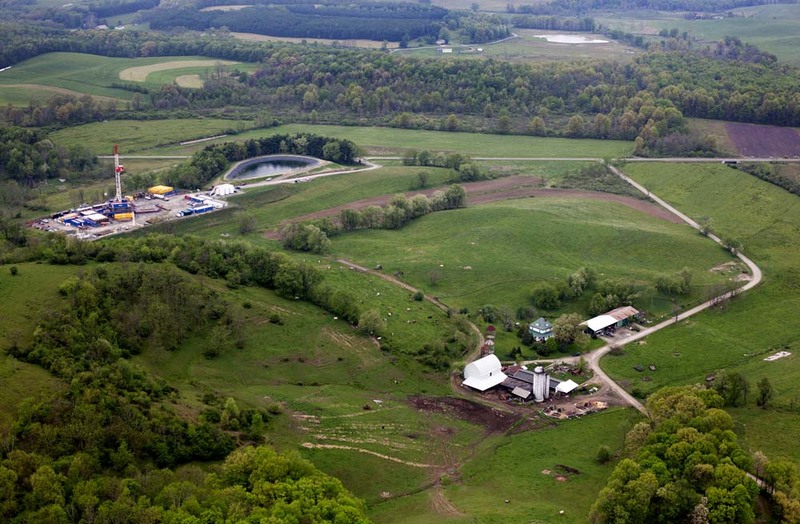 An aerial view shows the proximity of the Neider's farm to the well site. 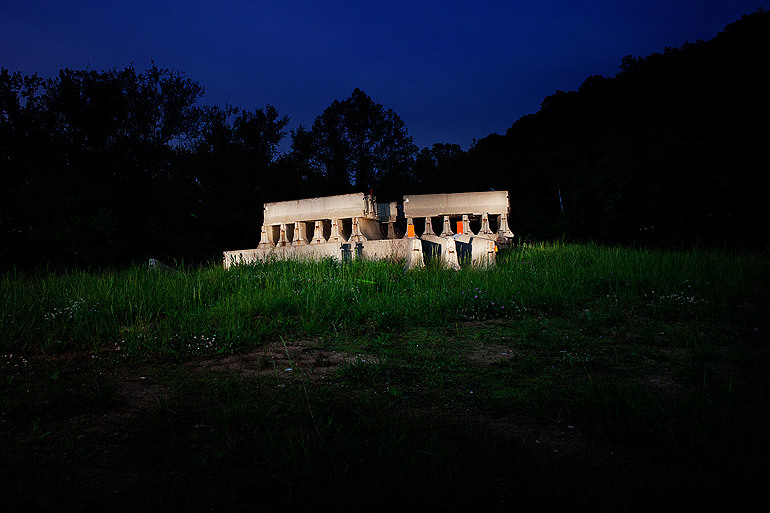 Athens County, Ohio. 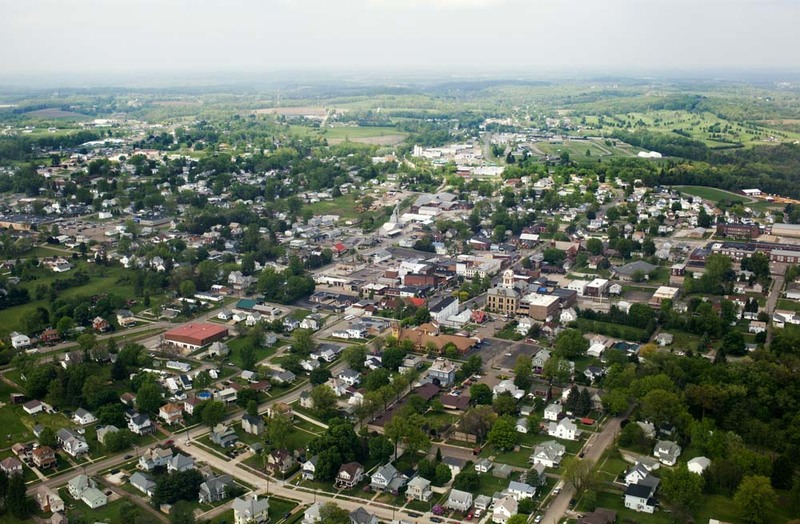 Nestled deep in the Appalachian foothills of Southeast Ohio, Athens County is home to a population of 64,757, with 30 percent living below the Federal Poverty Level. 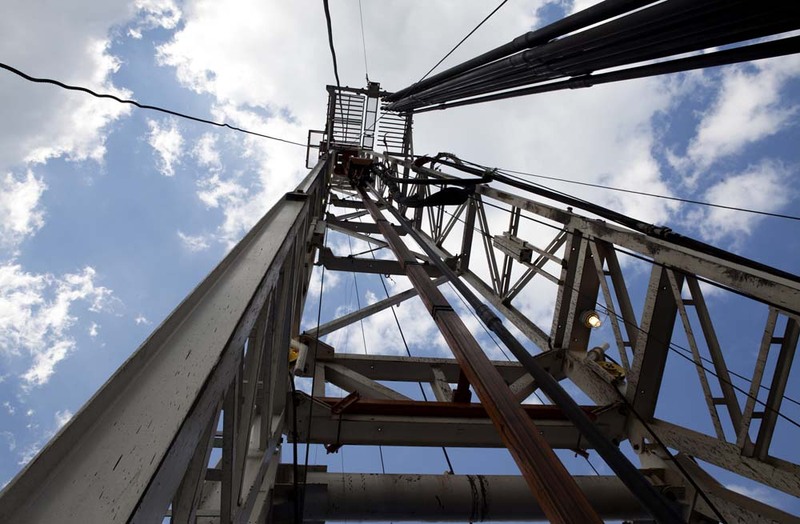 Just like other counties sitting above Marcellus and Utica shale, fracking has been a hotly-debated issue in the area. Athens residents are concerned that the economy boost foreseen by the industry might come at the expense of damaging the local environment and community. 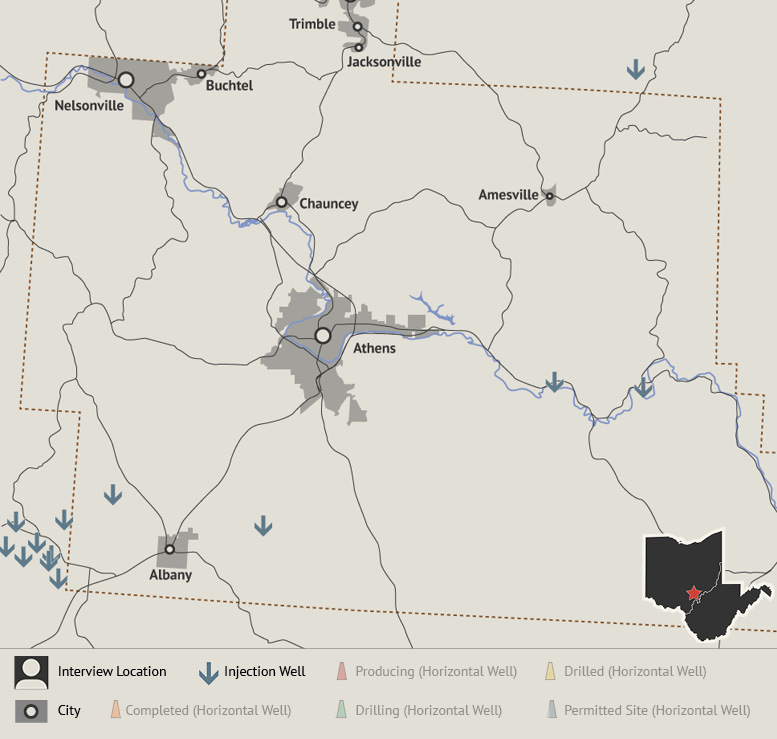 View GalleryFracking has not started in Athens county; however, there are four injection wells currently in use and land leases signed. 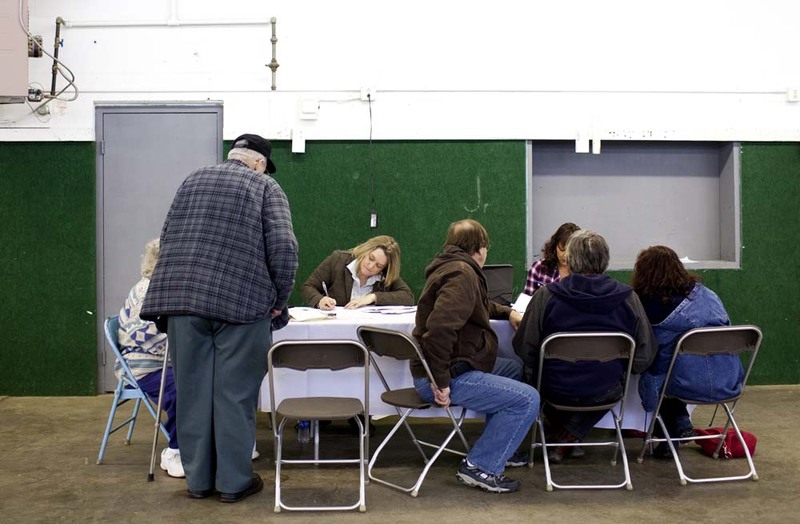 A lease signing event held at the Athens County Fairgrounds in December of 2011. There have been over 100,000 acres worth of land leased by Athens residents at $2,500 per acre. 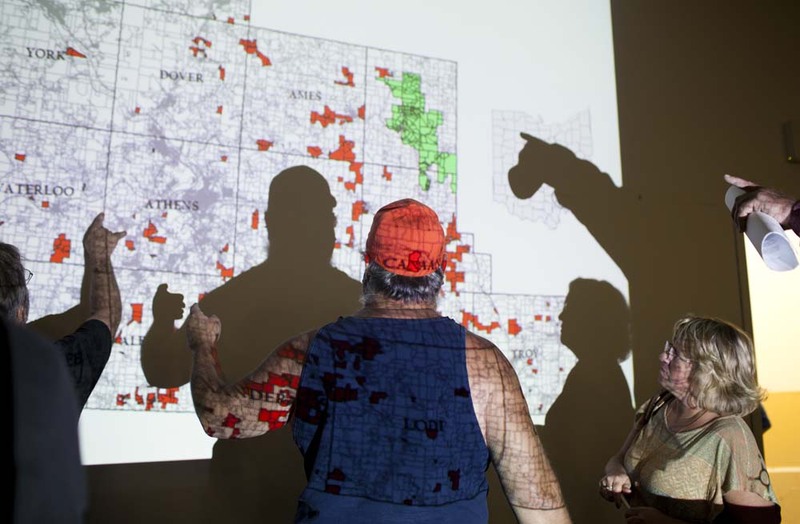 Athens County resident Bob McGuire, center, looks over a map projection of oil and gas leases during a lease signing event hosted by America's Choice Realty, in Athens. A group protests fracking outside of an oil and gas land leasing event held at the Athens County Fairgrounds. 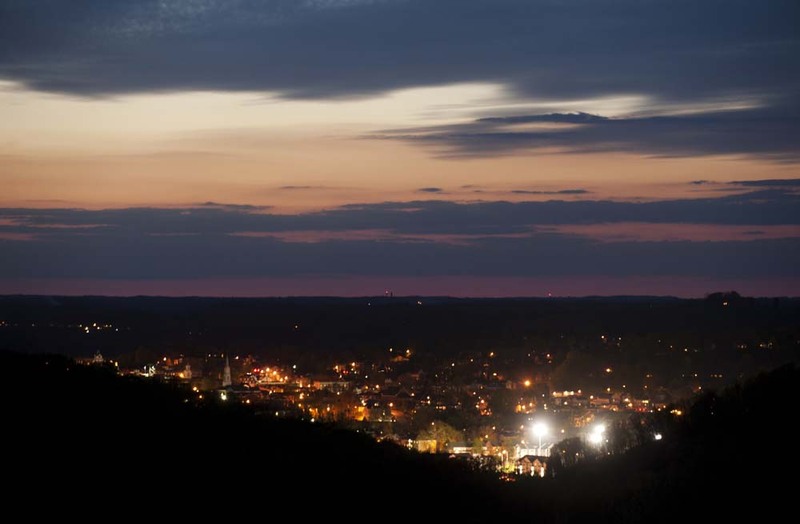 Athens, Ohio as seen from a hilltop. Athens community members gather at the United Methodist Church for informational meeting about natural gas extraction. Two West Virginia concerned citizens spoke out to prepare the Athens community for what is ahead. The city of Athens, Ohio. 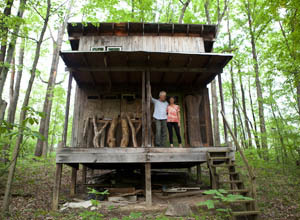 Elyse McMath and Kevin Smyth live a sustainable lifestyle on a large plot of land in Amesville, Ohio. They hope that the invasiveness of hydraulic fracturing stays far away from their home in the woods. 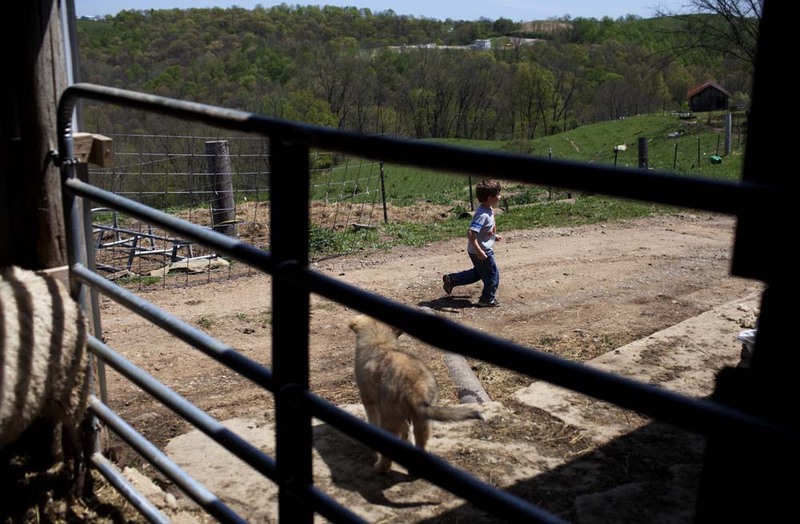 Elyse McMath raises farm animals on her land. The home of Elyse McMath and Kevin Smyth in Amesville, Ohio. Carolyn Fisk at her home near New Marshfield, Ohio. 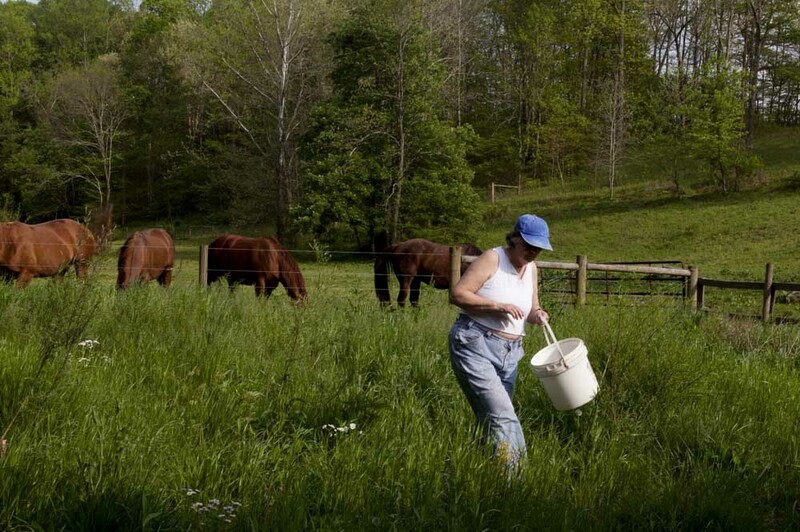 Carolyn Fisk feeds horses at her home in New Marshfield, Ohio. Carolyn has signed a land lease agreement with several other landowners that would allow natural gas and oil wells to be built on their property. 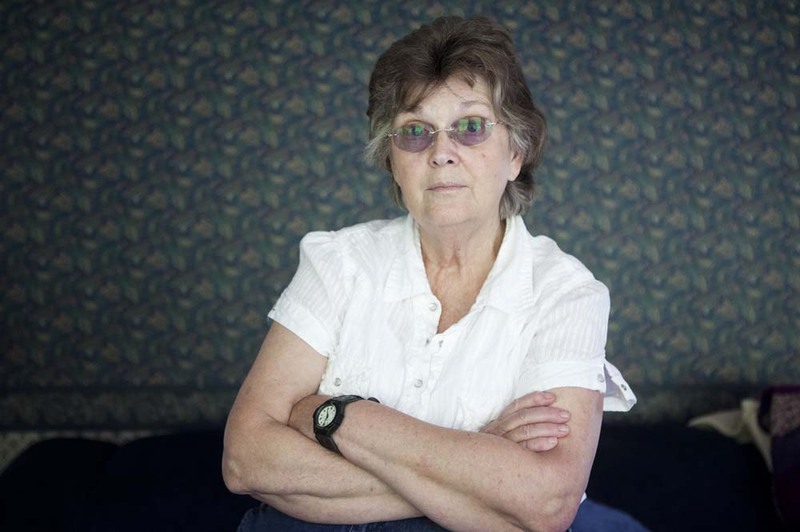 Carolyn Fisk is not worried about adverse effects of gas and oil wells to her land or animals. Wetzel County, Ohio. 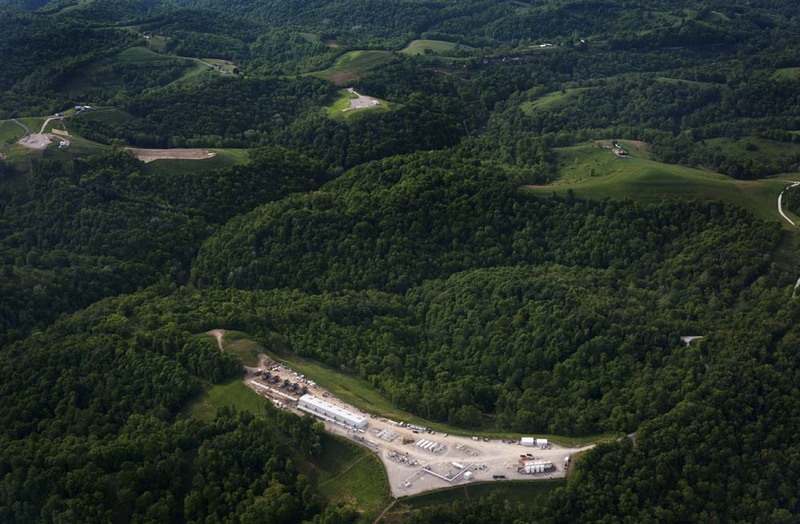 With gas development beginning seven years ago, Wetzel County, West Virginia, home to 16,583 residents, has been the most drilled area in the region for the past few years. 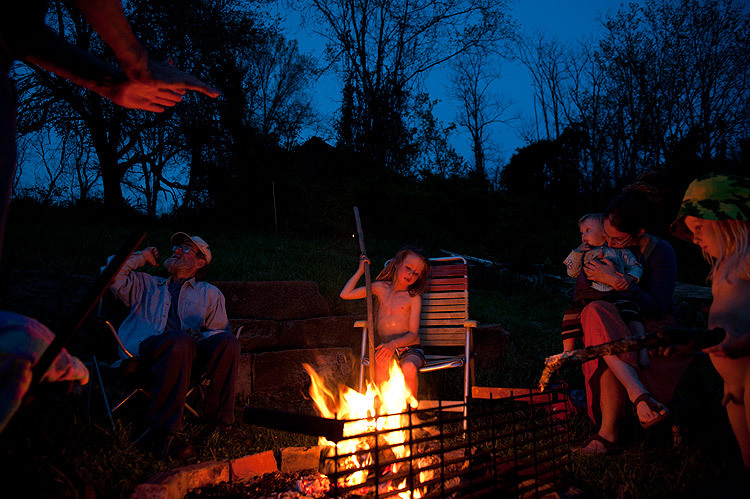 View Gallery The area now has left the days of the fracking boom behind; or more appropriately, the fracking boom days have left Wetzel County behind. Now residents are dealing with the negative impact on landowners, the environment, and local communities caused by fracking. 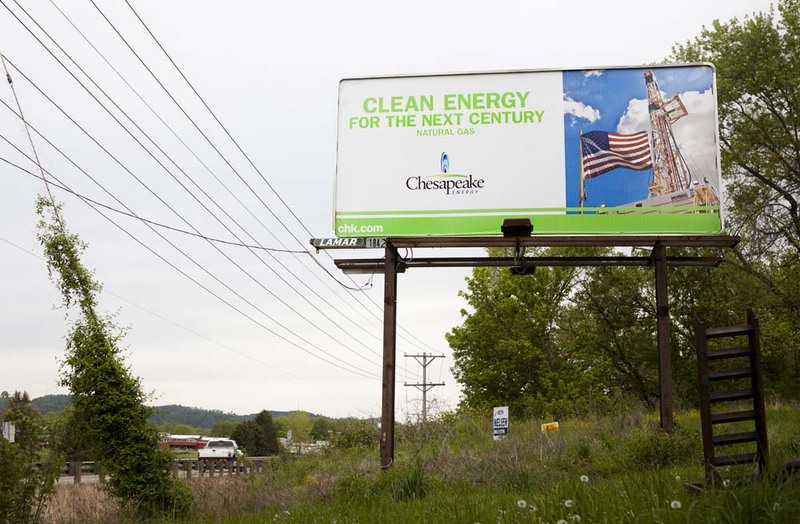 A Chesapeake Energy billboard promotes clean energy on the south end of New Martinsville, West Virginia. 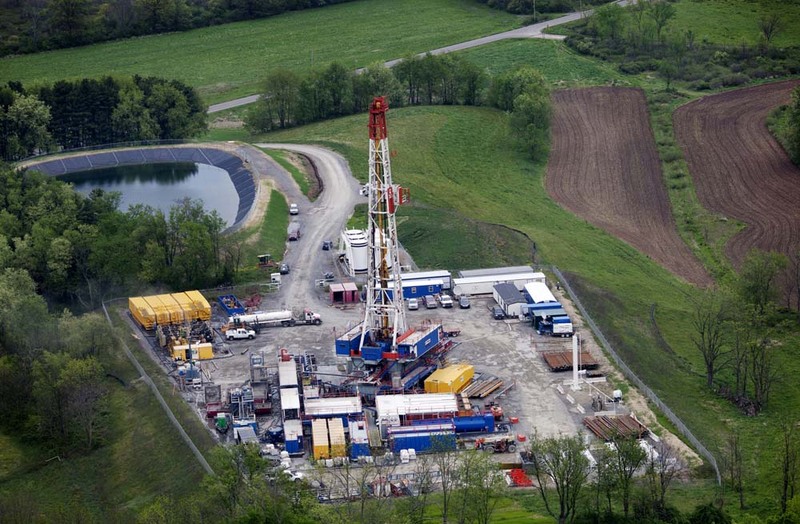 After seven years of gas development and expansion, fracking is a part of every day life for Wetzel County residents. 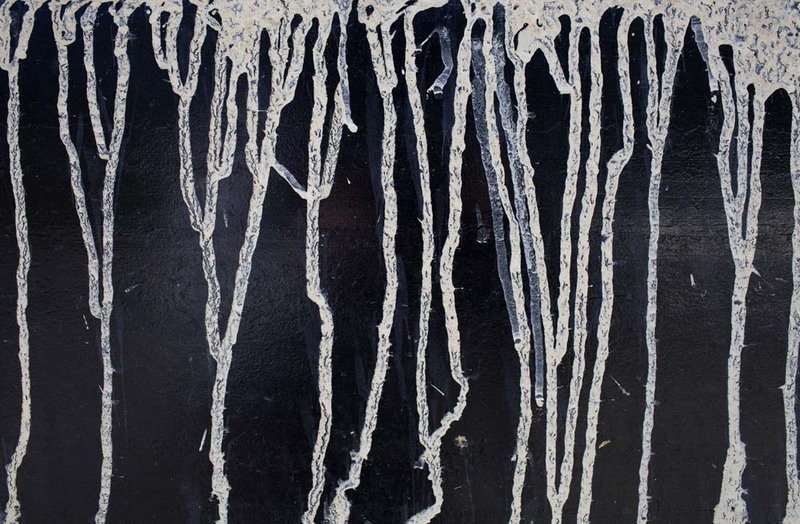 Dirt runs down the side panel of a tractor trailer used to haul fracking equipment. 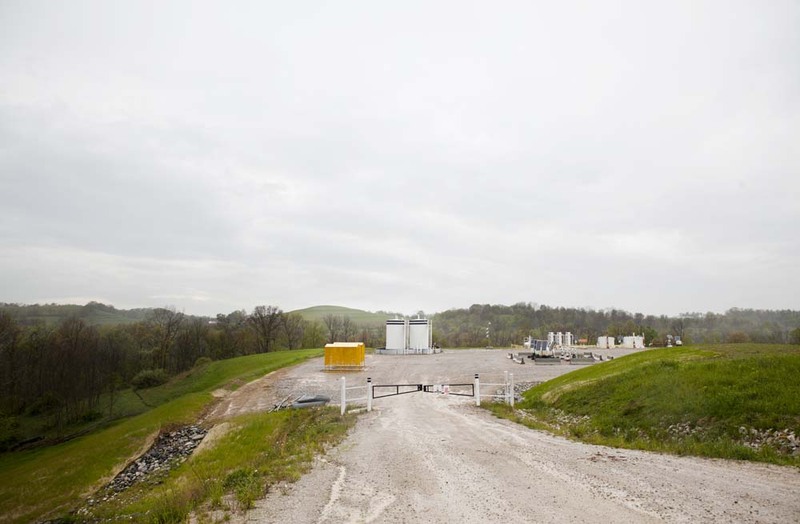 A fracking well extracts natural gas outside of Jacksonburg, West Virginia, within the limits of the Lewis Wetzel Wildlife Management Area. 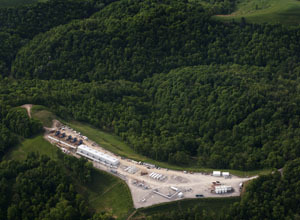 A production site on a hillside in Wetzel County, West Virginia. 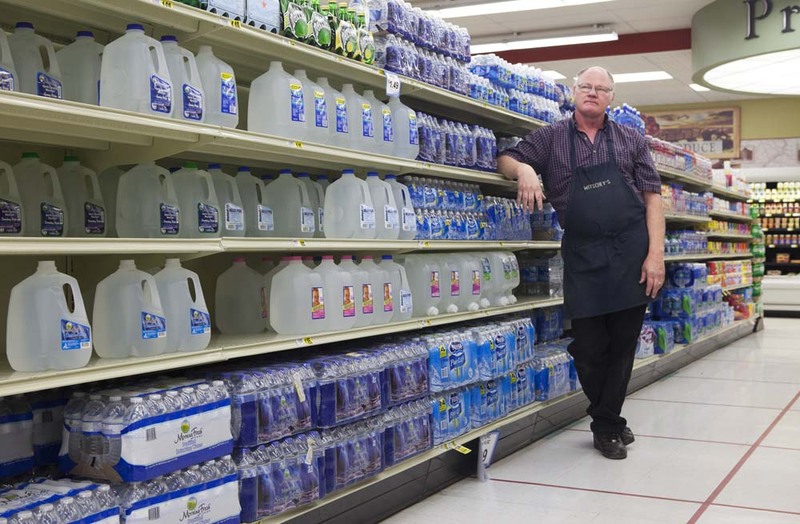 At a New Martinsville, West Virginia grocery story, bottle drink sales have increased as large gas development companies supply their workers with water. Ephram Wade has overseen stock at the grocery store for 31 years. 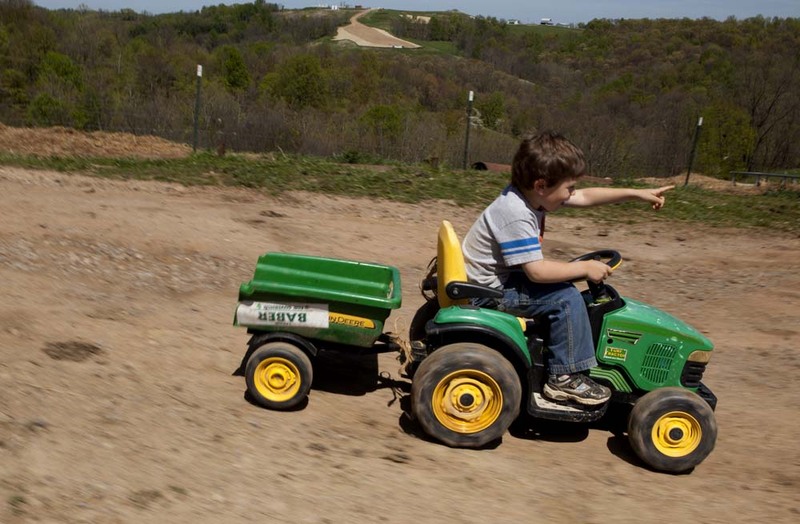 Billy Whiteman drives a toy tractor past a distant fracking well on his family's farm. 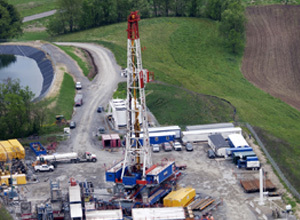 Seven years ago, natural gas development entered Wetzel County, West Virginia. Marty Whiteman and his family now deal with the changes to their environment and land. 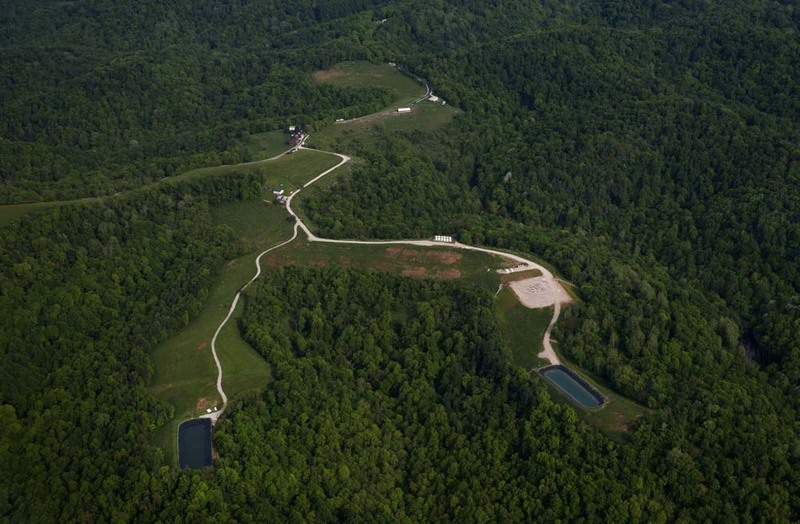 Multiple gas development sites in Wetzel County, West Virginia are near Marty Whiteman's home. 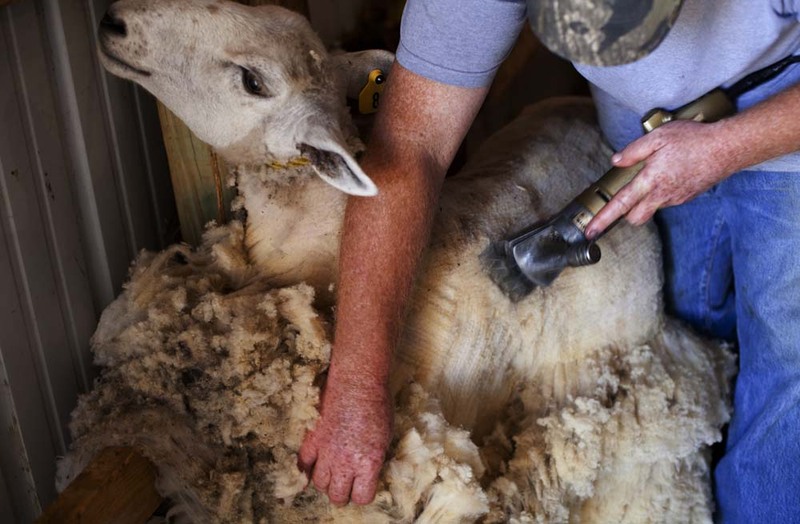 Marty Whiteman shears a sheep on one of his two farms in Wetzel County, West Virginia. Twenty years ago, he and his family moved back to Wetzel County from Wyoming to start a farm of their own. 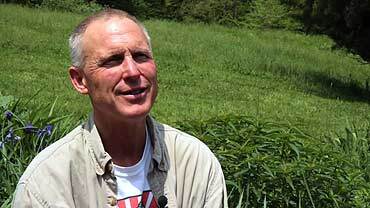 About four years ago, Marty was approached with plans for a well site on his 112 acre hay farm. Marty says, "From there, it has been about pure hell." Billy plays on his family's farm. The Whiteman family feels they have suffered adverse reactions from the surrounding fracking wells. 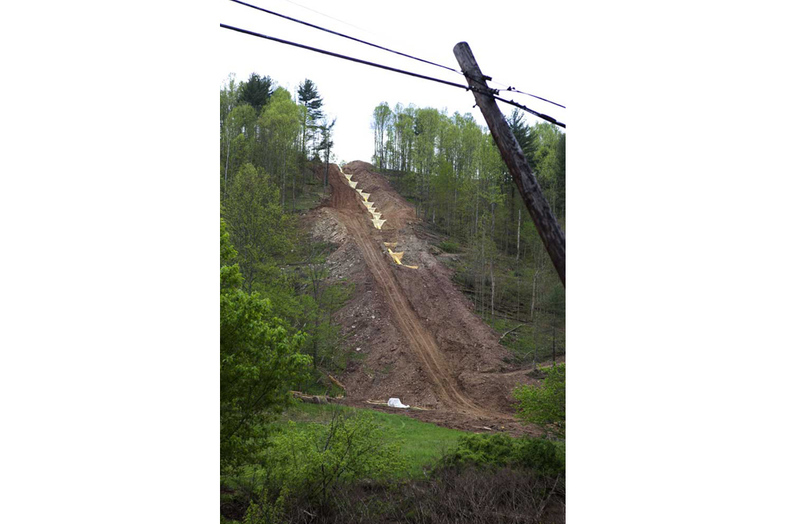 In many areas, the hillsides of Wetzel County have been leveled to make way for extraction of natural gas. 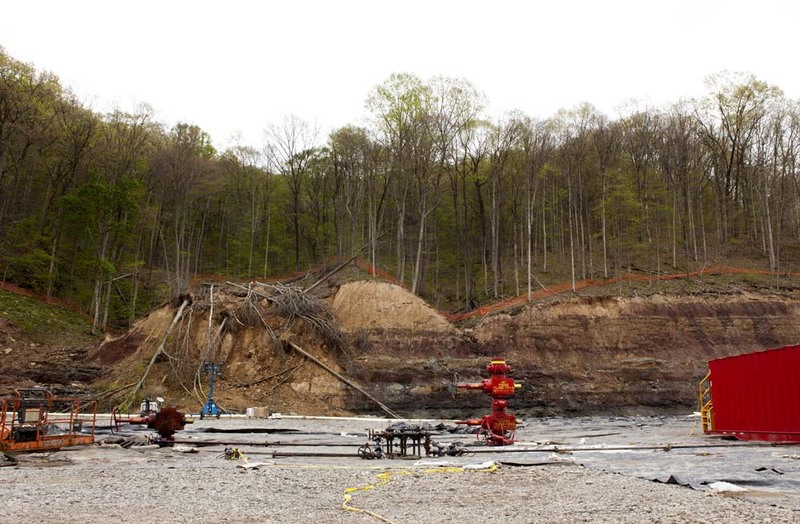 A fracking well on a hillside in Wetzel County, West Virginia. 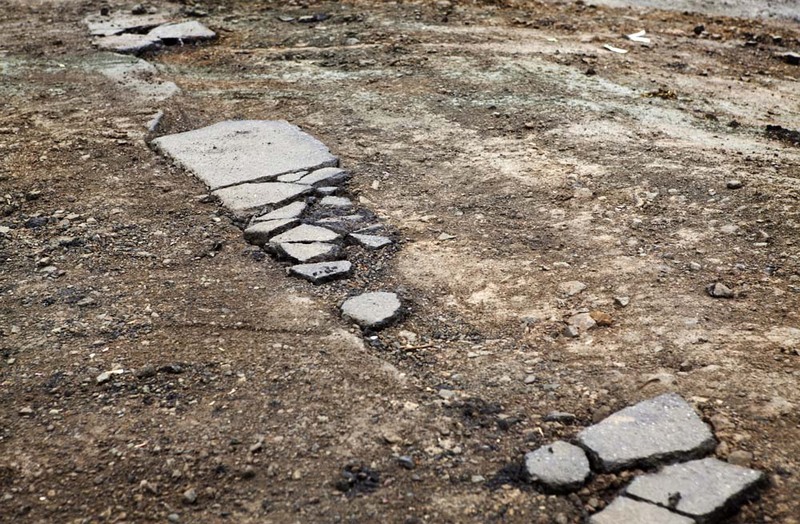 A damaged road in Wetzel County, West Virginia. 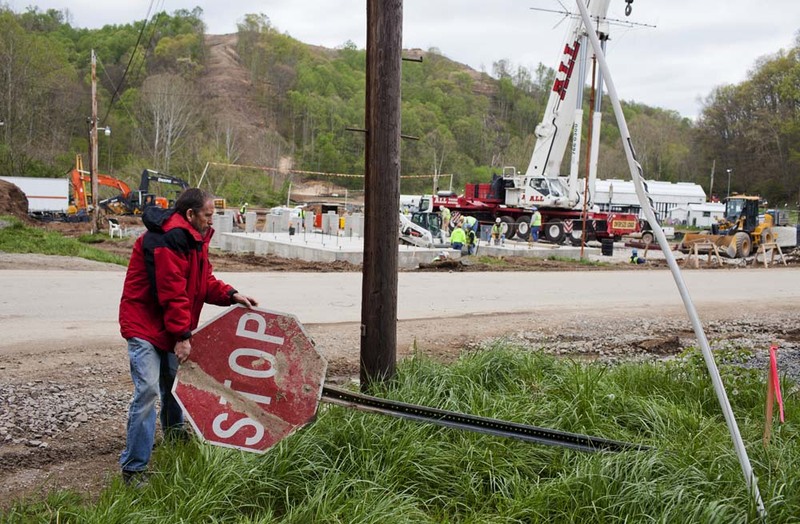 Bill Hughes, a Wetzel County Action Group member, picks up a damaged stop sign that was knocked over. 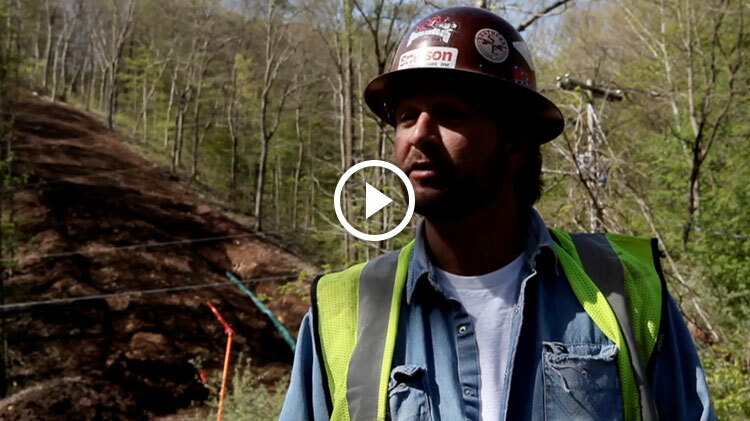 A pipeline is drilled outside of Jacksonburg, West Virginia. 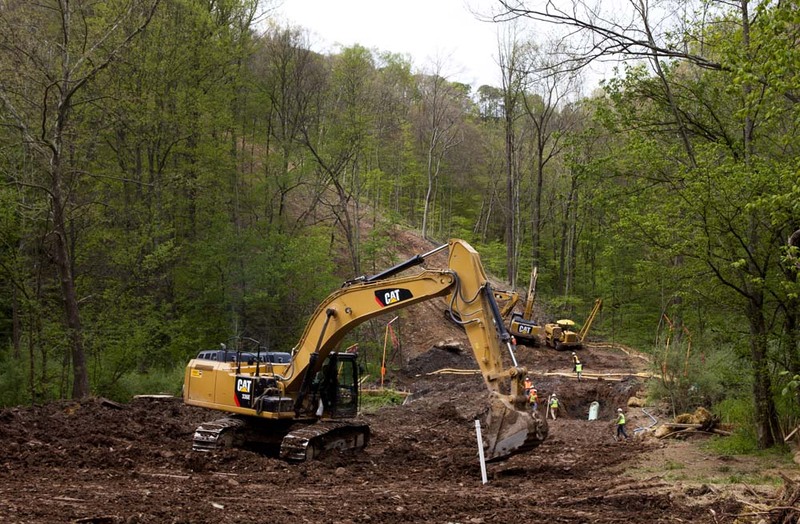 A pipeline is constructed down a hillside in Wetzel County, West Virginia. Two fresh water holding ponds in Wetzel County, West Virginia. 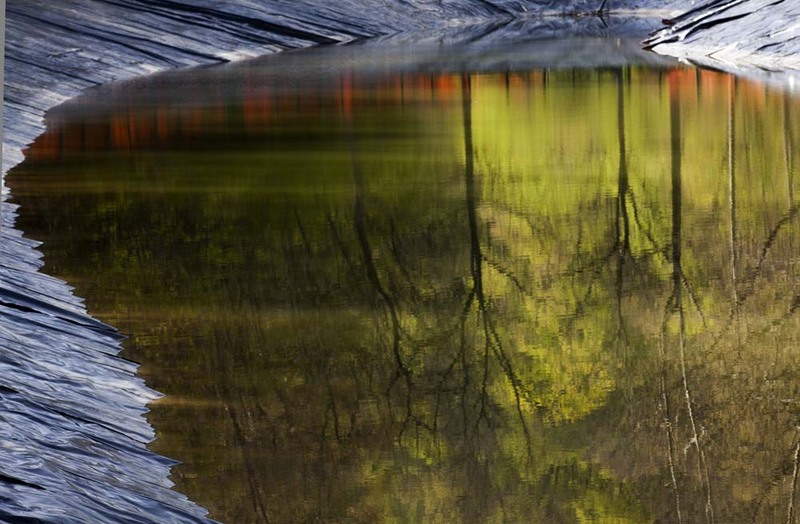 Pipelines run through a creek in the Lewis Wetzel Wildlife Management Area outside Jacksonburg, West Virginia. Ginger Royalty Dingess has been a pipeline teamster for five years and is currently employed as a bus driver at a site in Jacksonburg, West Virginia. This camper site in Shinnison is Ginger's home away from home. An orange caution fence surrounds a fresh water holding pond outside of Jacksonburg, West Virginia within the limits of the Lewis Wetzel Wildlife Management Area. Southeast Ohio is at a crossroads. It is now in the hands of the community to decide whether heavy industry offers real change for the region or more of the same. Perspective and personal opinion defines everything from how we value the land, down to how we view it. The challenges to those who call Southeast Ohio home are not simple, nor are the stakes low. Our views of the land may be different, but our impact is undeniable. 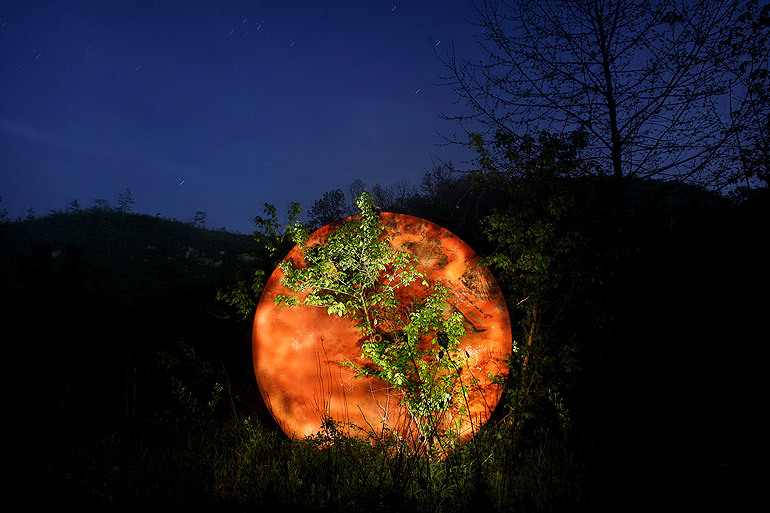 Throughout Southeast Ohio, evidence of humanity converges with the Appalachian landscape. We may see our uses of the land as pedestrian, but the natural world probably has a different view of the structures we create. If we take the perspective of nature and imagine what our presence must look like, we begin to see how alien we are in this world that we dominate. 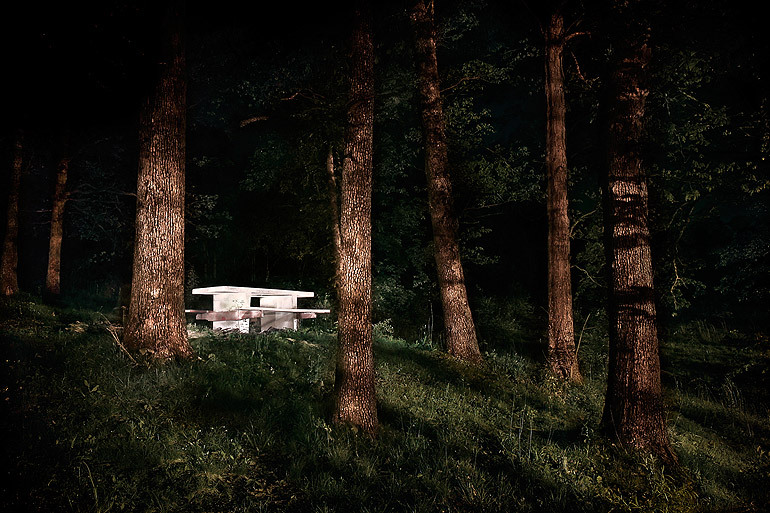 Out of the darkness, our creations interrupt the organic landscape constructing eerie encounters within these spaces. Overturned oil tank along Ball Run Road in Pomeroy, Ohio..
Swingset at the Strouds Run State Park campground in Athens County, Ohio. 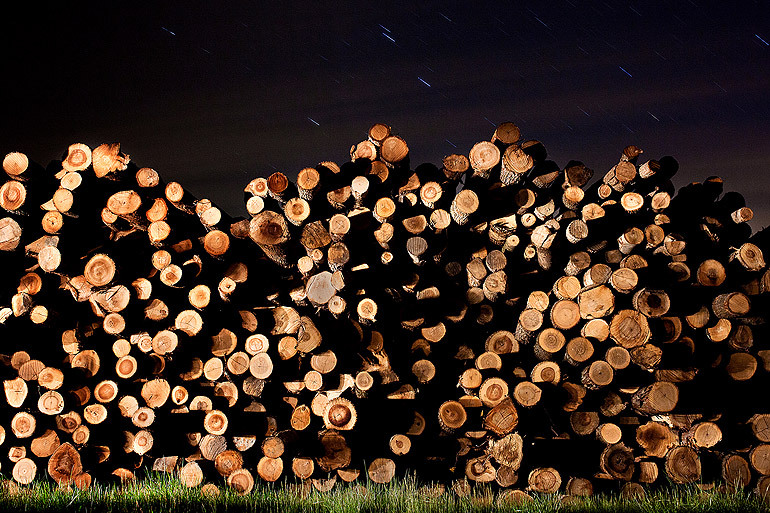 Stacked timber at a saw mill in Haydenville, Ohio. 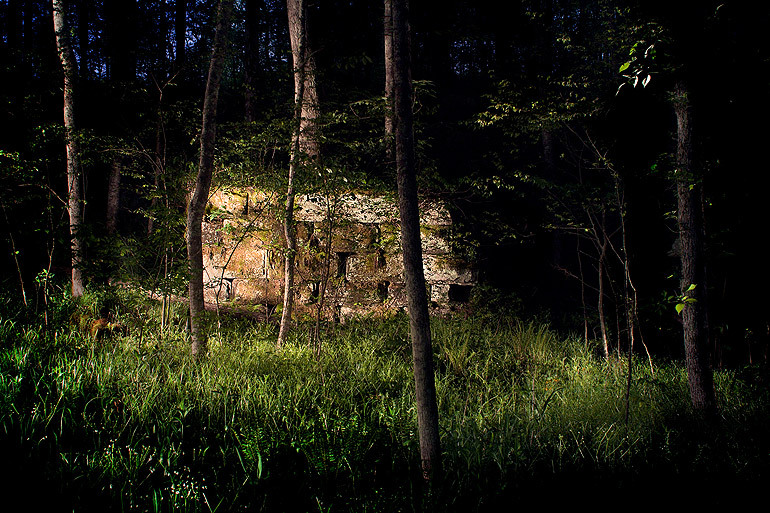 Remnants of an iron furnace in the Vinton Funace Experimental Forest in Vinton County, Ohio. 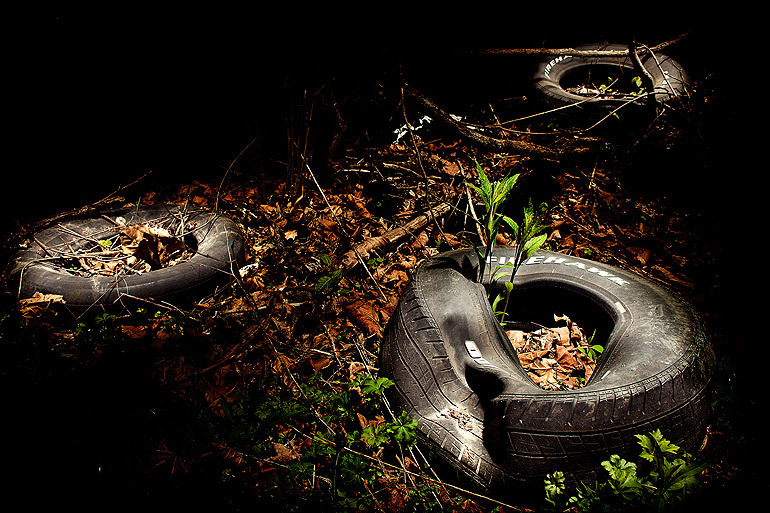 Discarded tires along Company Road in Haydenville, Ohio. Ornamental deer along U.S. Route 50 in Albany, Ohio. Picnic table at a rest area along U.S. Route 33 in Athens County, Ohio. An old railroad pier along Luhrig road in Athens, Ohio. Construction barricades along Elm Rock Road in Nelsonville, Ohio. 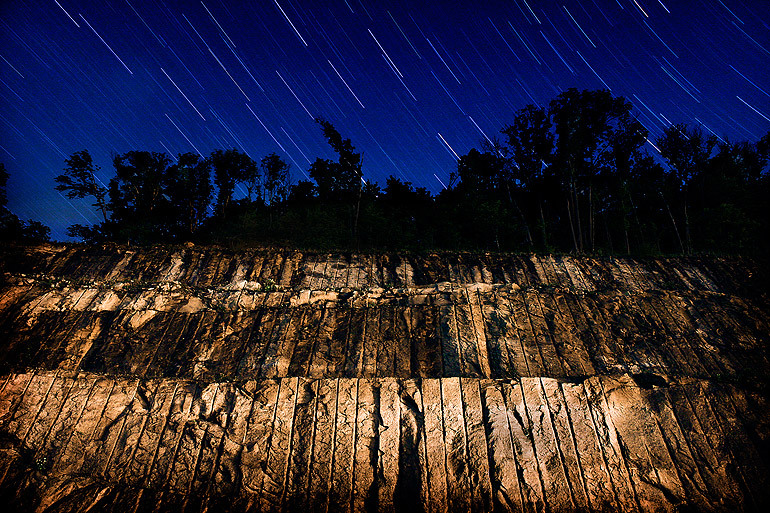 A man-made cliff along State Route 124 in Hockingport, Ohio. 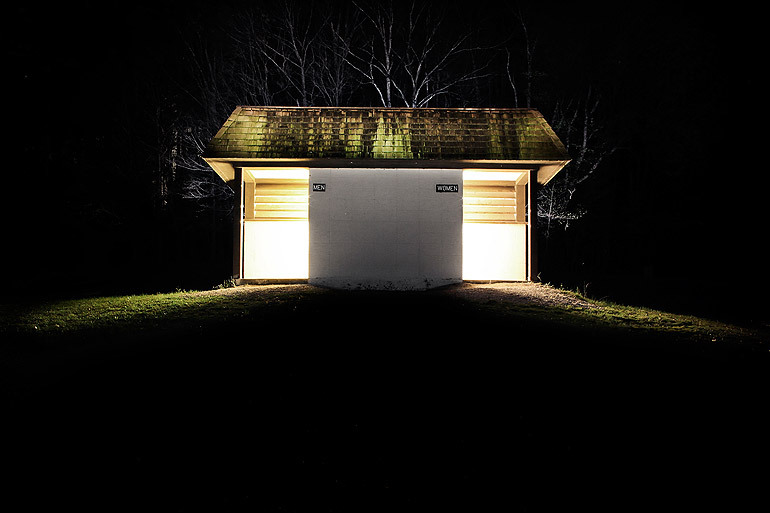 Public restroom facility at Lake Hope State Park in Vinton County, Ohio. A gas pipeline and control valve near the forest along County Road 6 in Athens, Ohio. 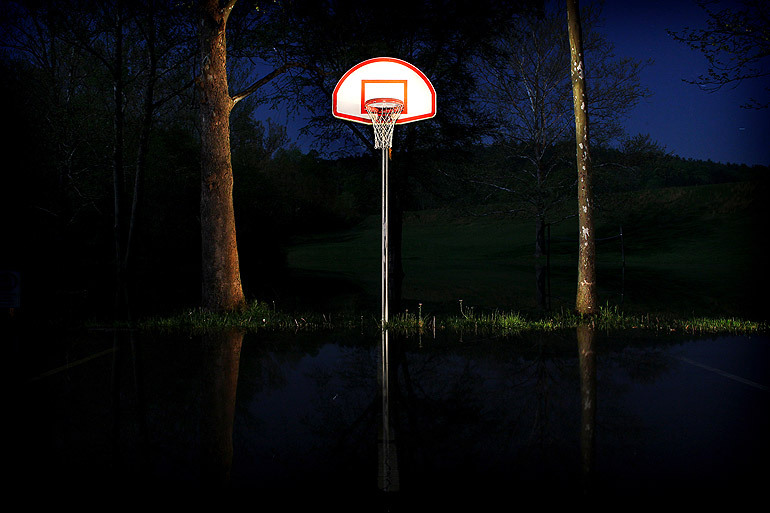 Flooded basketball court at Lake Hope State Park in Vinton County, Ohio. Vista Point Trail at Strouds Run State Park in Athens County, Ohio. "I’ve got to the place now where I try to vote for the person. It’s just like a Nascar race, I have my favorite... I care about the person and what type of person they are and how they run the race, clean and all that. "